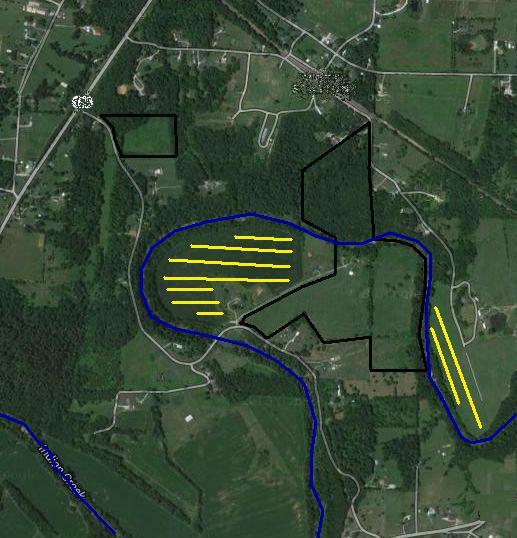 Hardin, KY 105 $3,000 Fields are a mix of grasses and some fenced cows. Woods have no cows. Good county. 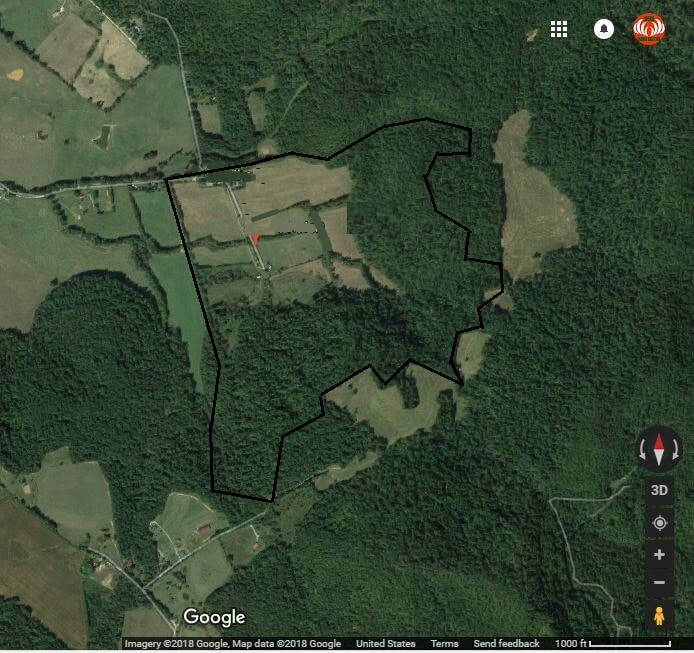 Great Deer Area. High Density. 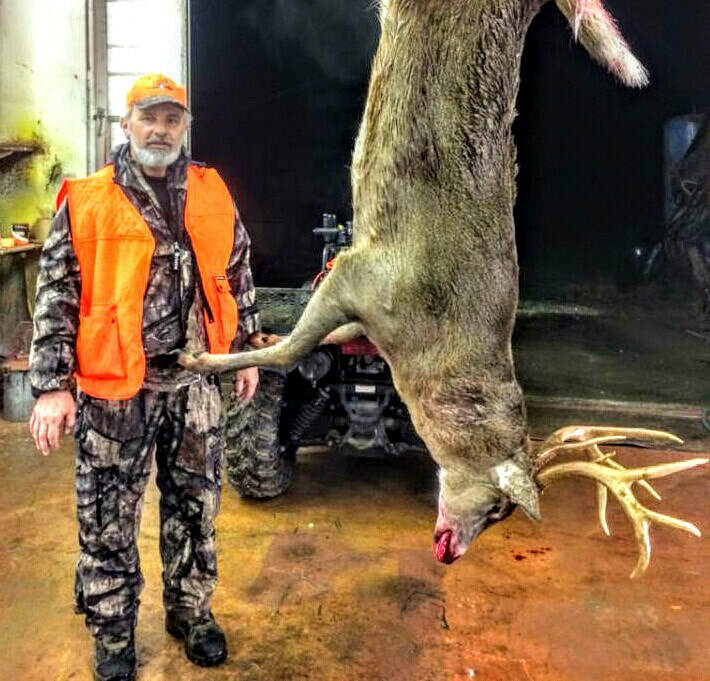 Good Deer and Turkey Harvests. 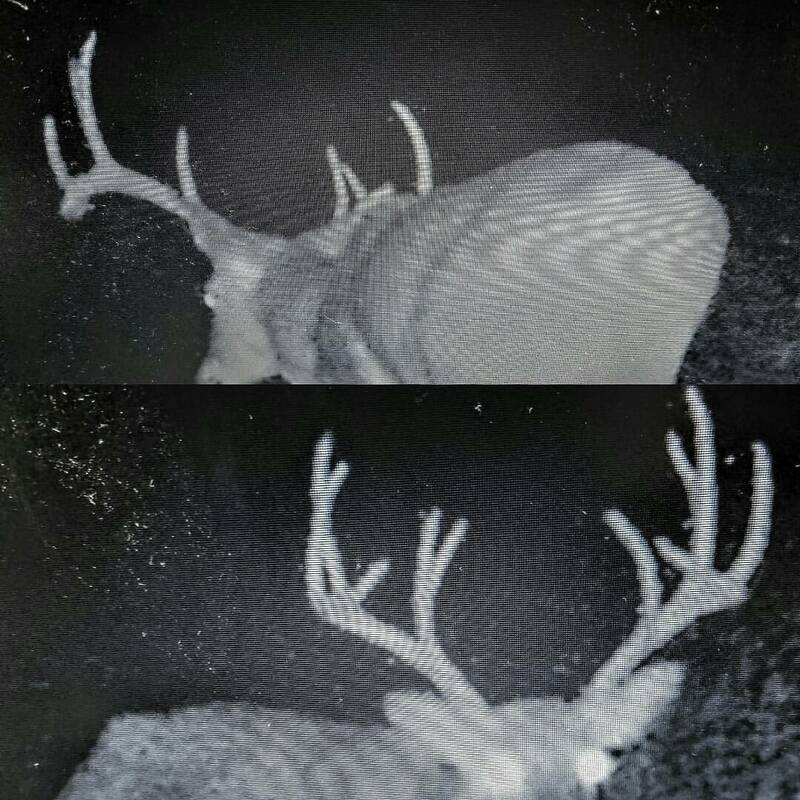 Cam pics below. 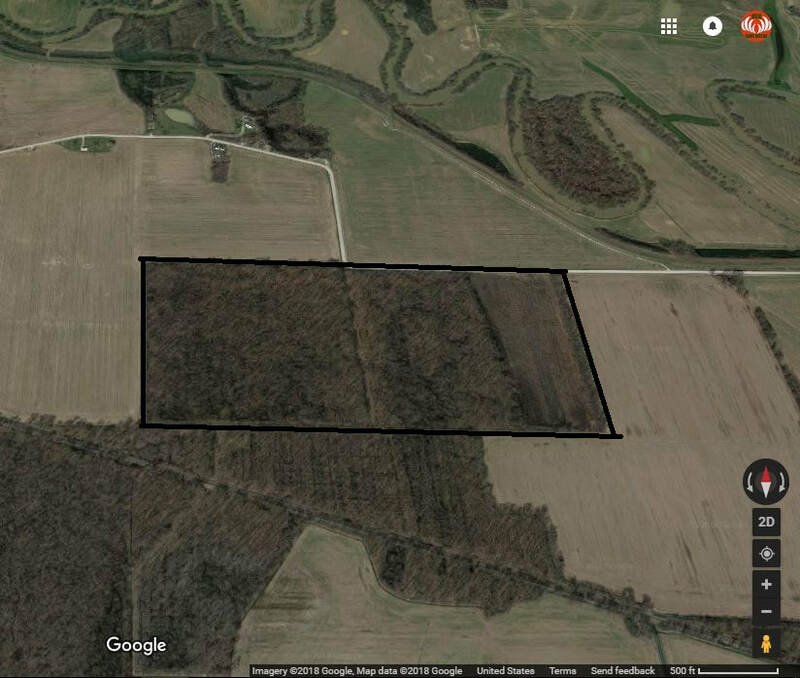 Hardin, KY 220 (pending) Awesome tract of land with crops and woods in an awesome county. 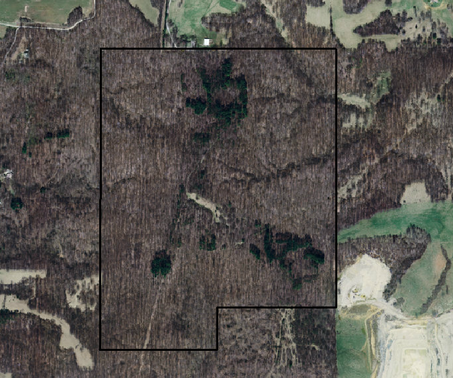 Lease pricing has increased a lot due to focus on this area with many Booners coming out of this county. 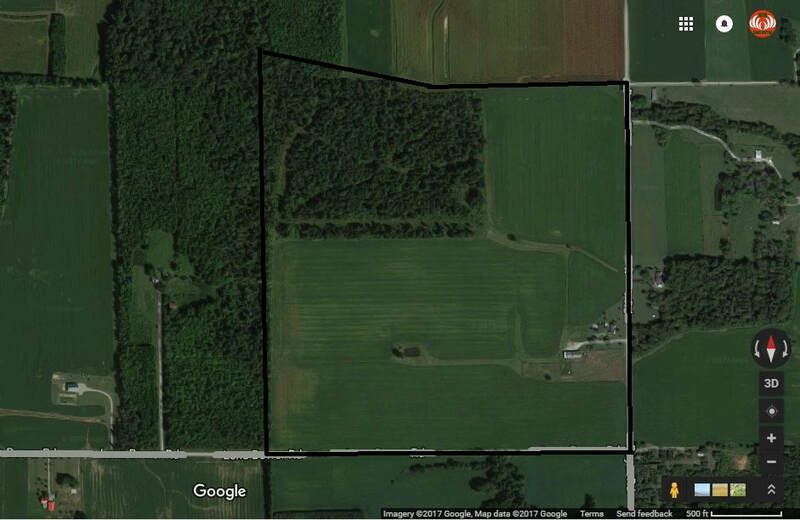 Licking, OH 150 (Pending) Awesome tract in a very hot county that we have had a lot of lessee success in! 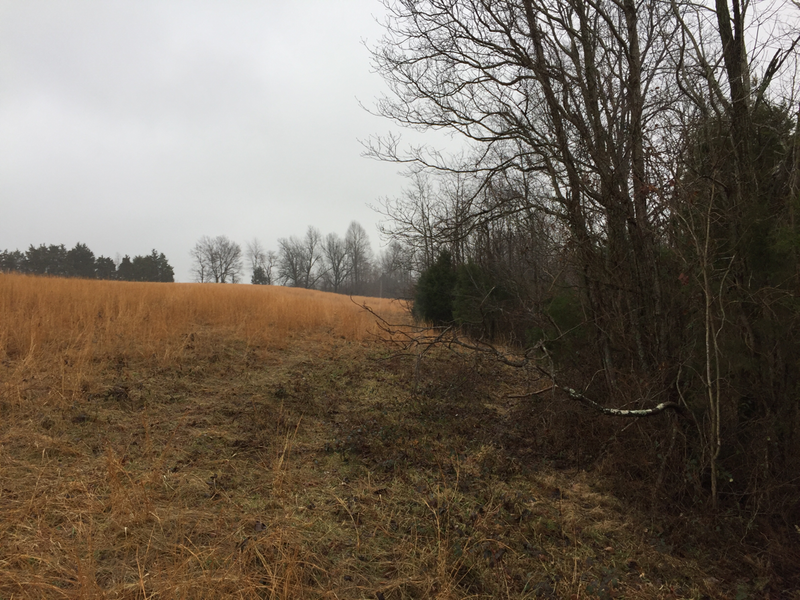 woods, thickets, creeks, crops and even native pheasants. 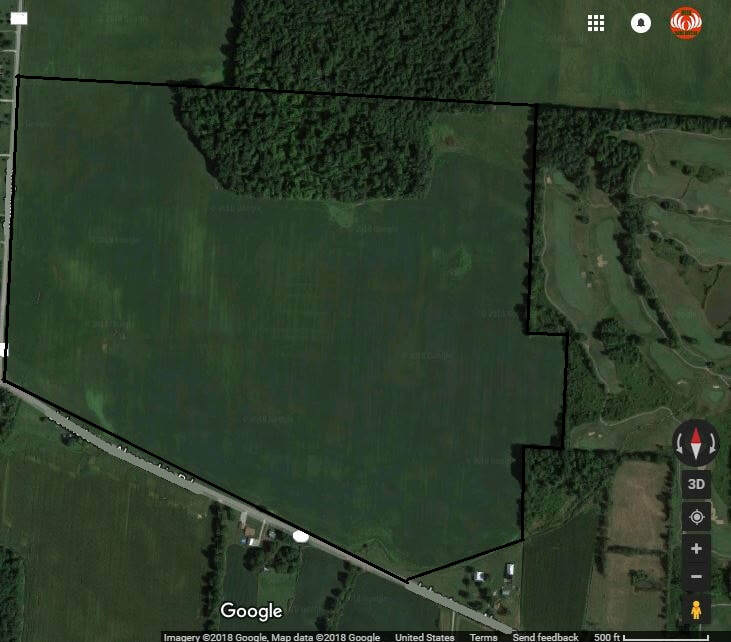 Licking, OH 101 (Pending) Awesome tract in a very hot county that we have had a lot of lessee success in! woods, thickets, creeks, crops and even native pheasants. 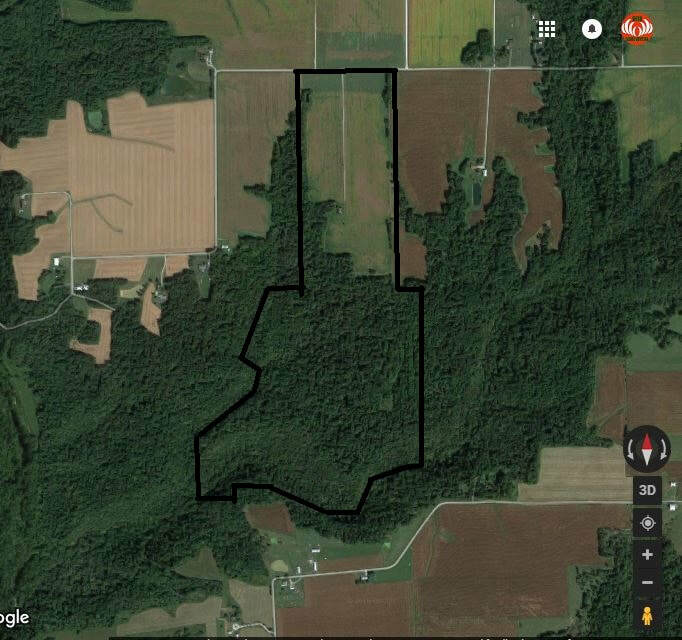 Licking, OH 65 (Pending) One of our awesome tracts in the area that produce very big bucks. Nice head of woods with a permanent creek and nice woods and thickets on the side. 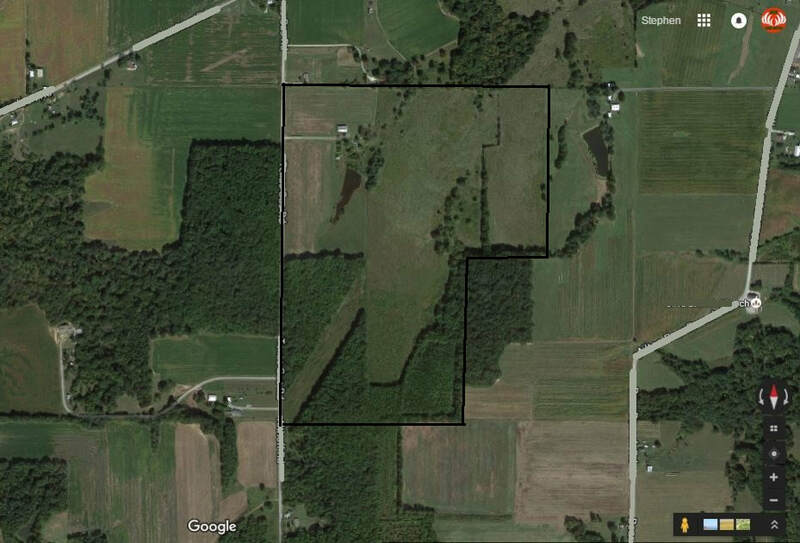 Close to Suburban Columbus where deer grow big. Hunts nice for 2-3 people. 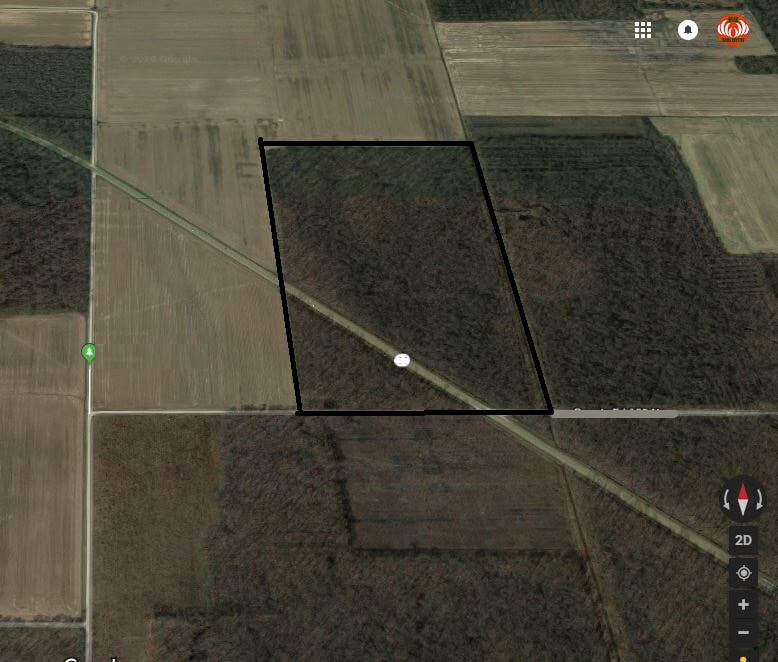 ​Great mix of woods, wood rows and crops in an up and coming, easy to get to IL County. Great for 2-3 hunters. Hart, KY 150 $3,500. Highly regarded B&C location. There are some cows with lots of fencing. 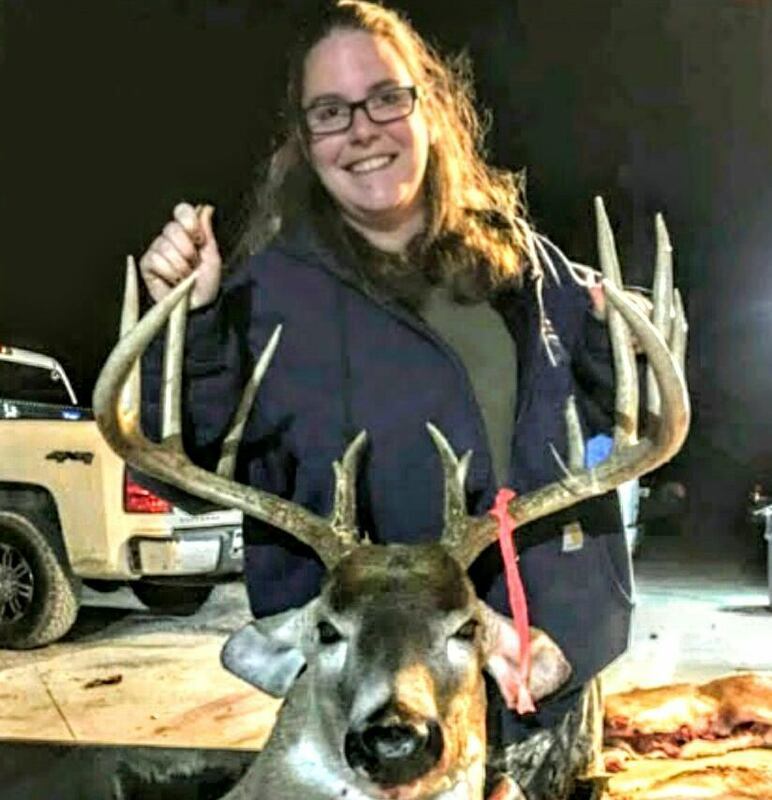 Owner is open to moving cows around as needed for better hunting. Video is below. 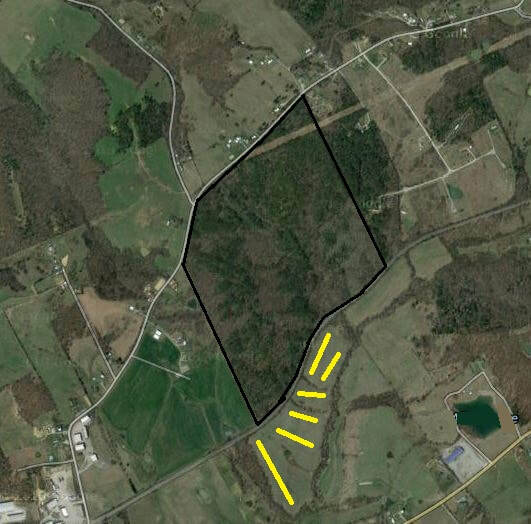 Nelson, KY 150 (Pending) Highly sought after county with very convenient access. Good mix of roll and flat with fields of hay. 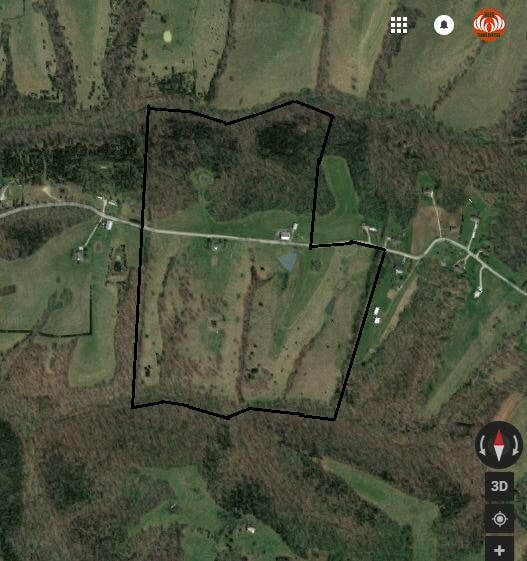 Hart, KY 130 (Pending) Amazing place in one of KY's top B&C counties. Nice lady owner on site and sits at a dead end with creek bounding most all of it. 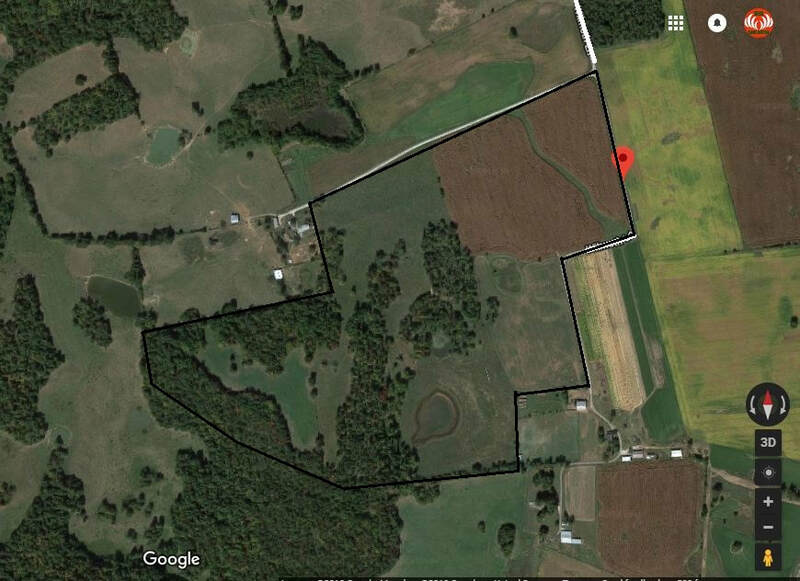 About 12 cows and 2 or 3 horses that will be kept up front by her house during the Fall months and she will accommodate you. She is also OK with you leaving a camper there by her house and barns. 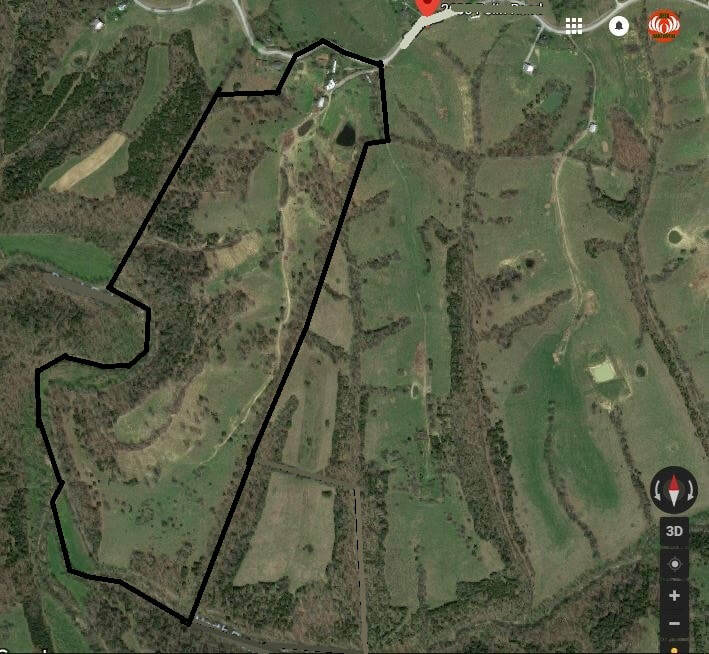 Washington, KY 125, 20 (b) 25 (c) $5,500 Highly sought after county with a good mix of woods and fields. Some cows, owner will fence cows out on main tract to the front field. 3 tracts all near each other. Unreal beauty on the creek bottoms. Several Ponds as well. Awesome tract convenient to Indianapolis. 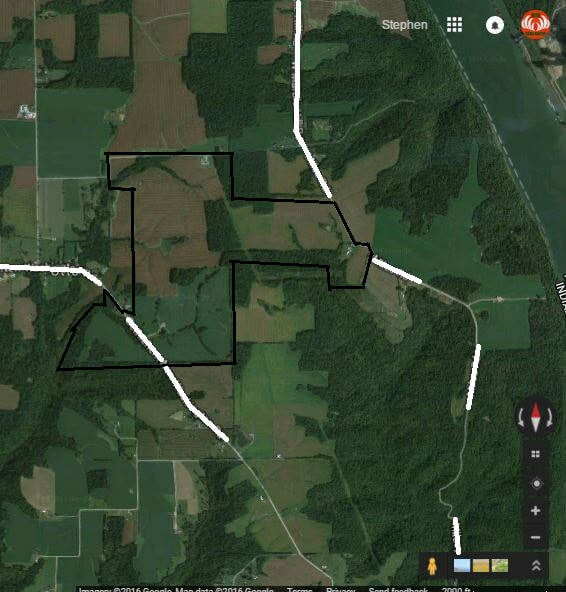 Recent timber harvests have left awesome openings and gravel roads. Also a utility cut. Full House on Site. 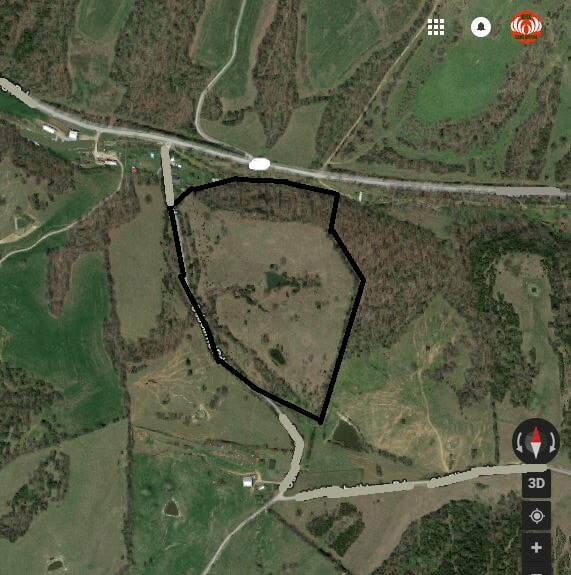 Not included but you owner is open to discussing use of it while hunting. 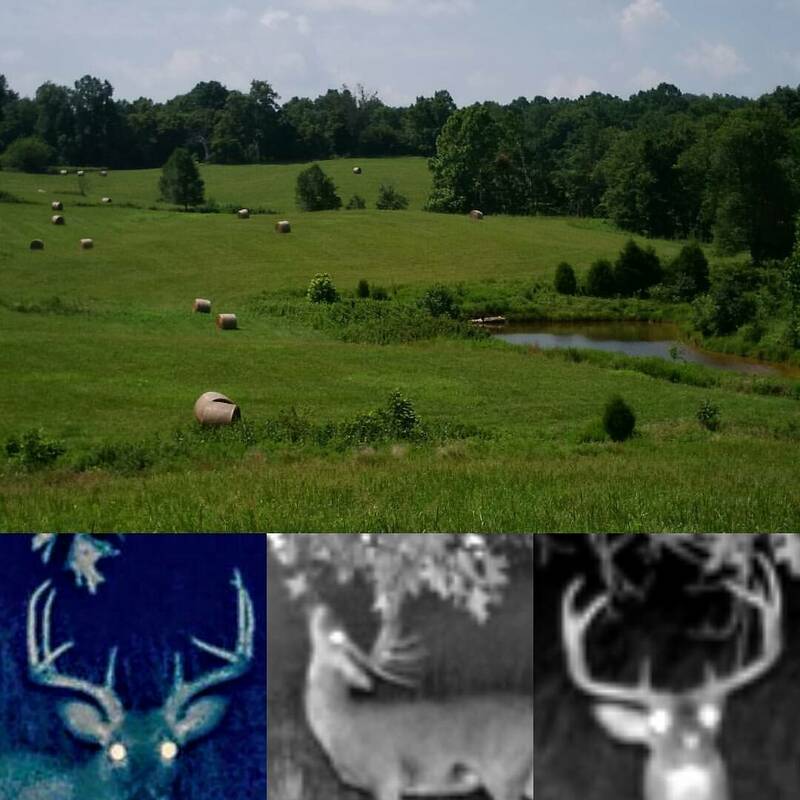 Awesome crop and wood farm near Monticello, KY. Wayne is one of the few counties that will consistently produce a Non-Typical and Typical Booner! Allen, KY 175 $4,750 (Pending) Awesome area that butts up to Barren River. 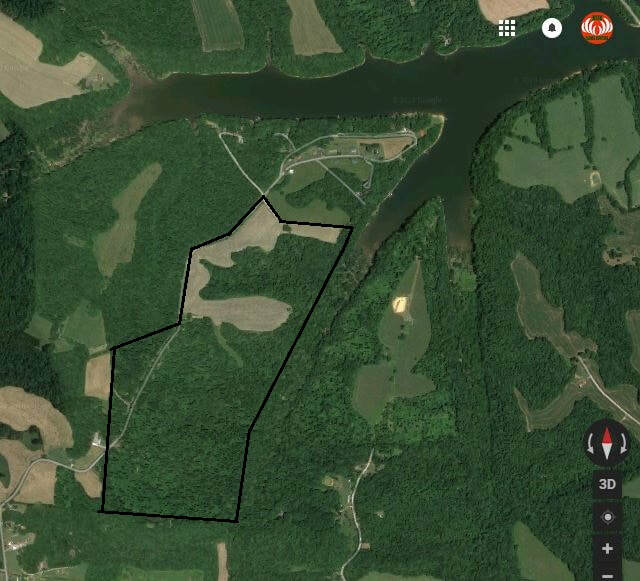 The east line is the Barren River Lake and this tract provides a great private way to access that land. No cows, fields are hay. 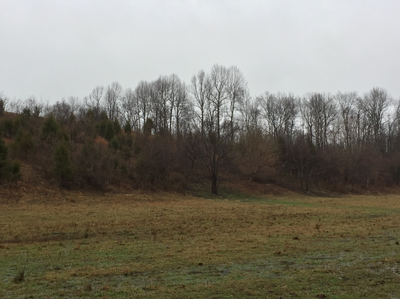 ​Awesome area of Allen County near the Barren River Bottoms. Some cows with lots of fencing. Vids Below. 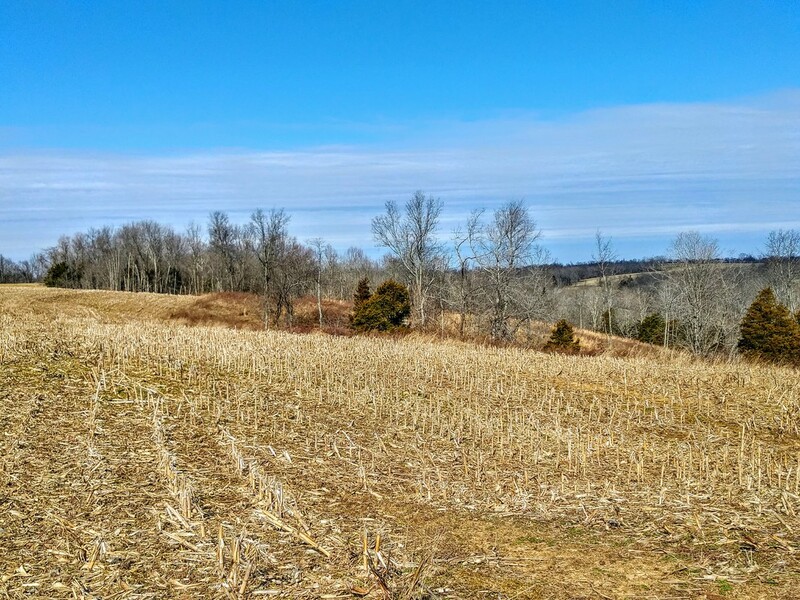 Graves, KY 180 $3,500 Large crop fields with tracts of woods and a few other heads of woods around. 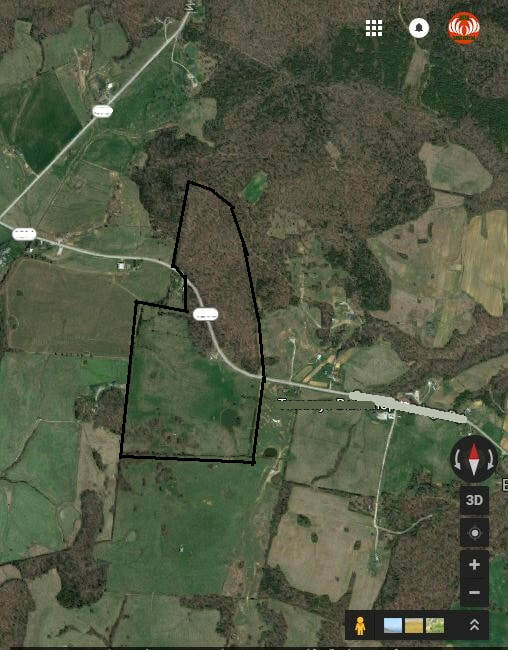 Washington, KY 110 $4,000 Outstanding laying tract in a hot KY county. 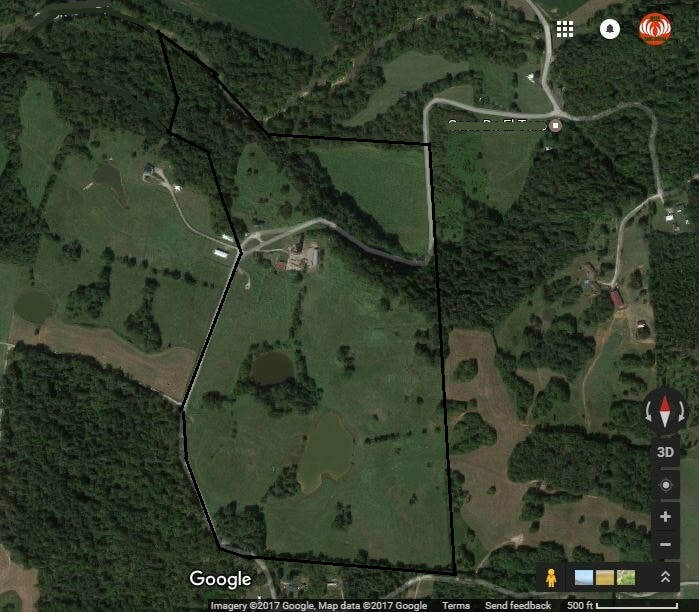 Owner does have cows but said will fence them upfront during October and November for sure and you could see about September if you wish. Owner on site so secure. 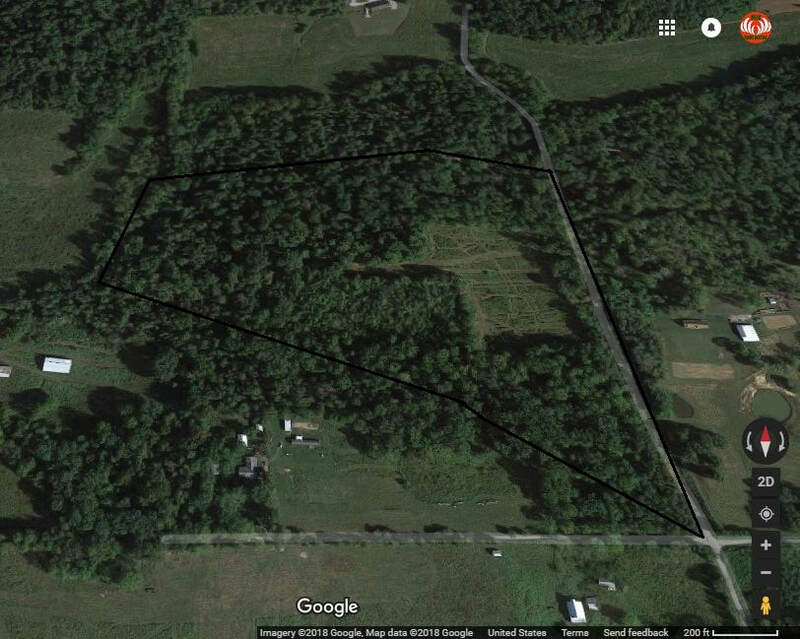 Graves, KY 40 $1,000 Cropland with some woods intertwined. 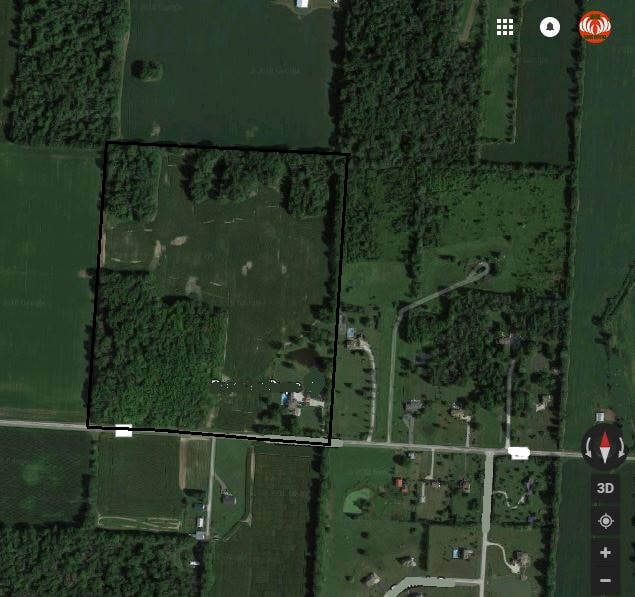 Perry, IN 260 $6,000. 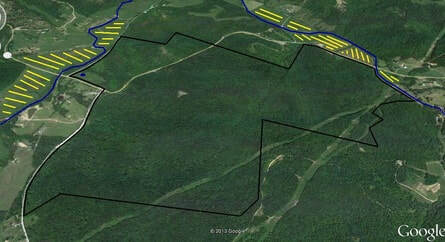 Awesome tract with newer logging roads. 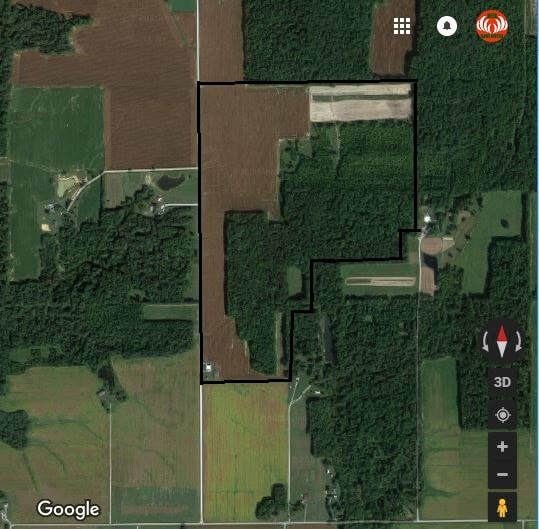 Lots of crops on one side with a small crop field on the property and lots of National Forestry on the other side that you can access as well. Trail Cam Pics below. Grayson, KY 161 $3,500. 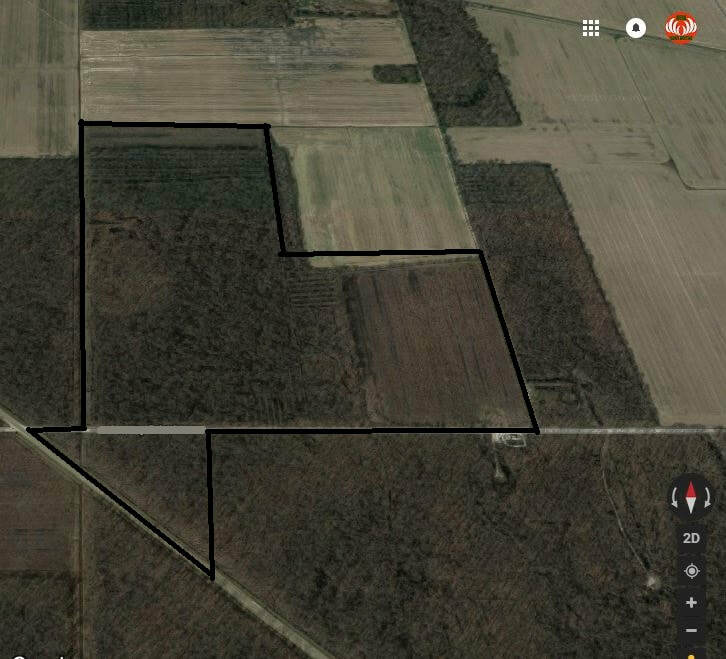 40 acre crop field on left side of property. 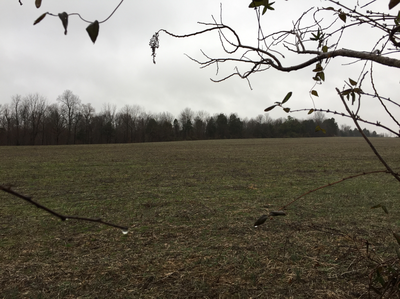 A few cows on property but not a problem for the better hunting areas. Pics are below. 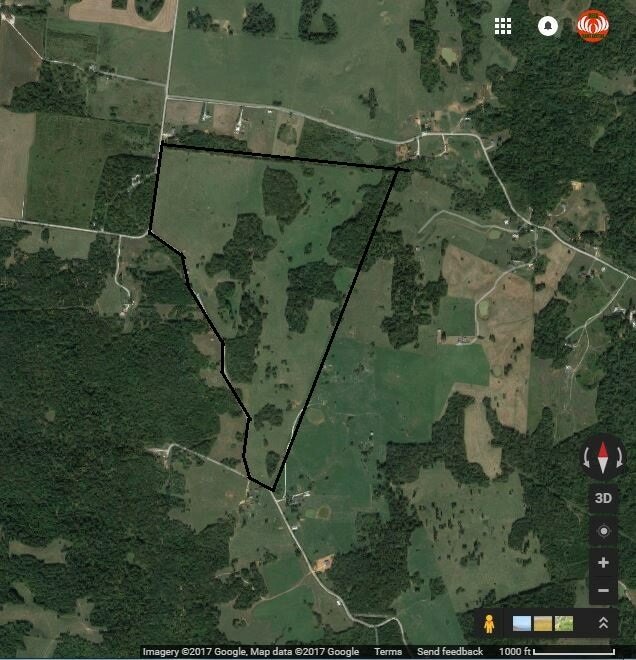 Hardin, KY 105 $3,000. Mix of grains with some fenced cows. Awesome owners will work on cow location during prime hunting months. 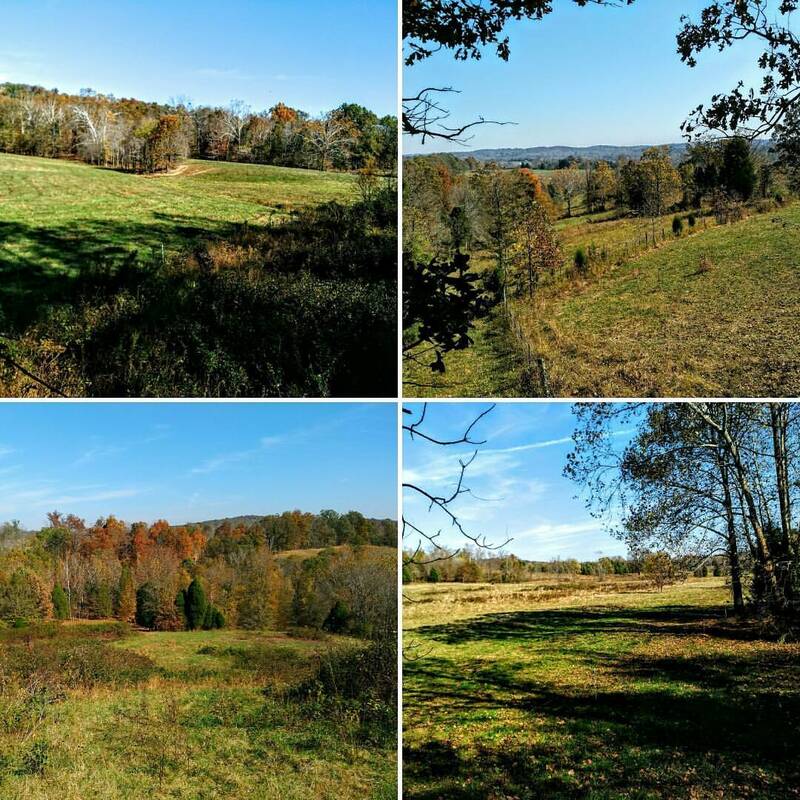 Pics from tract below. 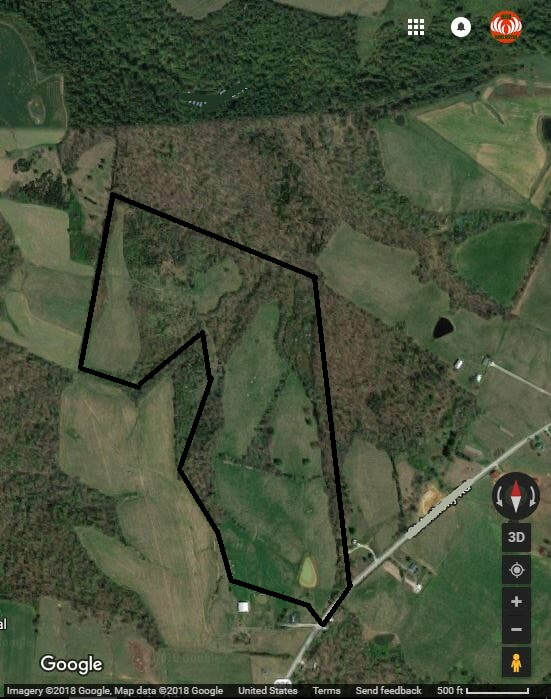 Graves, KY 40 $1,500 Very high deer density tract with a small crop field that is usually planted and destroyed by deer. Small barn and pond where you can use a camper while on site. 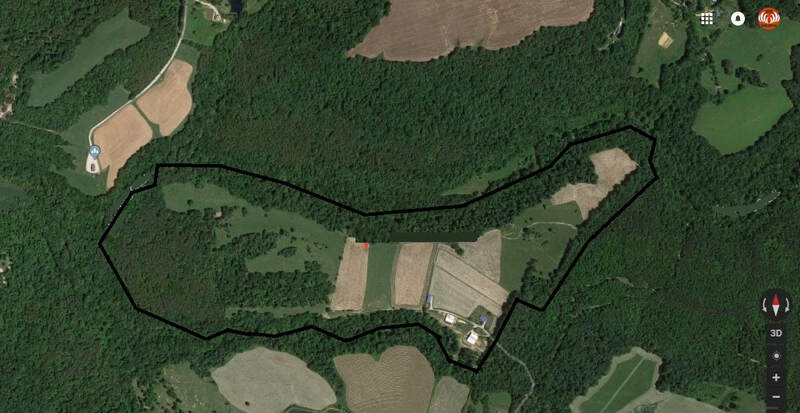 Big creek run to the North and Creek woods on the West are the main hunting portions here. Some cows. 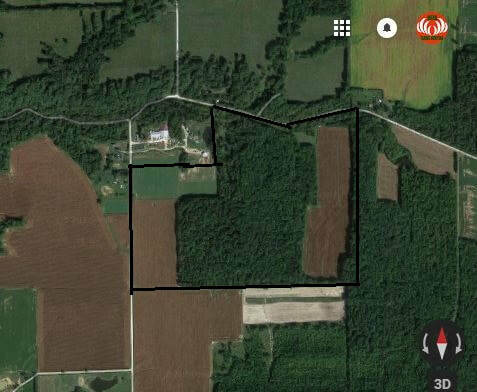 Very good tract with lots of different woods and fields. 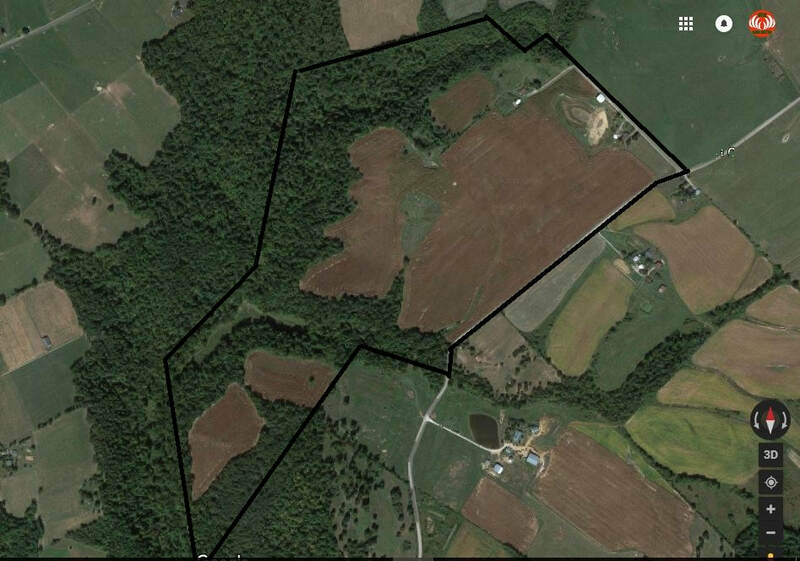 Some crops are grown on this tract though the spot is rotated around. Outstanding uplands and lowlands. Beautiful rolling hills. Saw a ton of Deer in the SW corner while there. Great for bow and rifle. There are some cows and can work with you on having them fenced in the front during season. Great Turkey as they love being around cows. 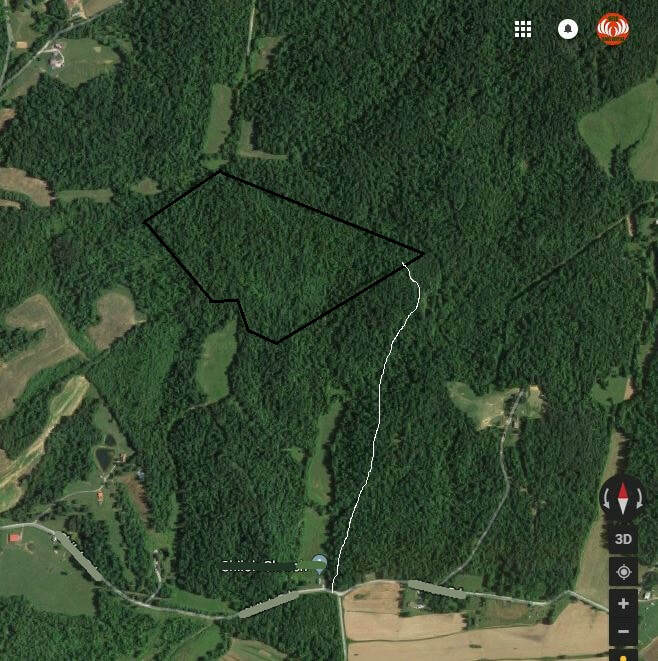 Very good tract with a good mix of some big woods, thickets, creek bottom. 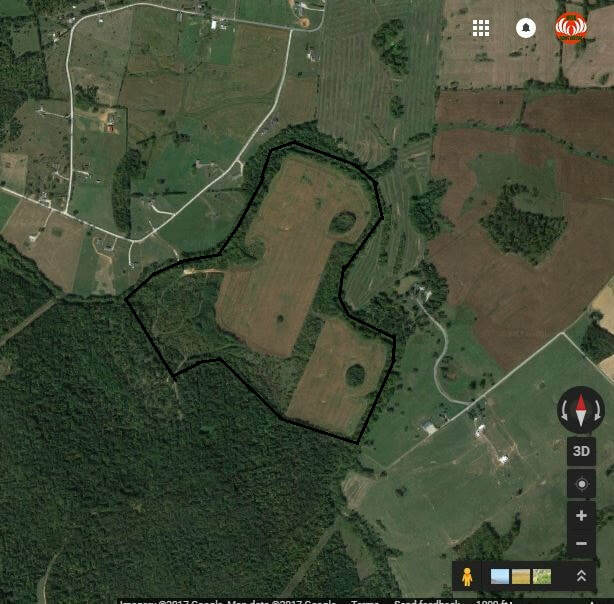 Some fenced cows but mostly wooded tract. 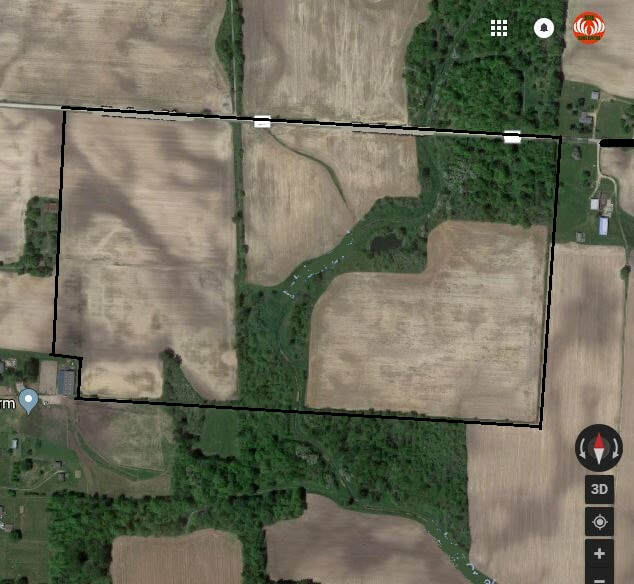 Great pass through area with lots of crops and pond. 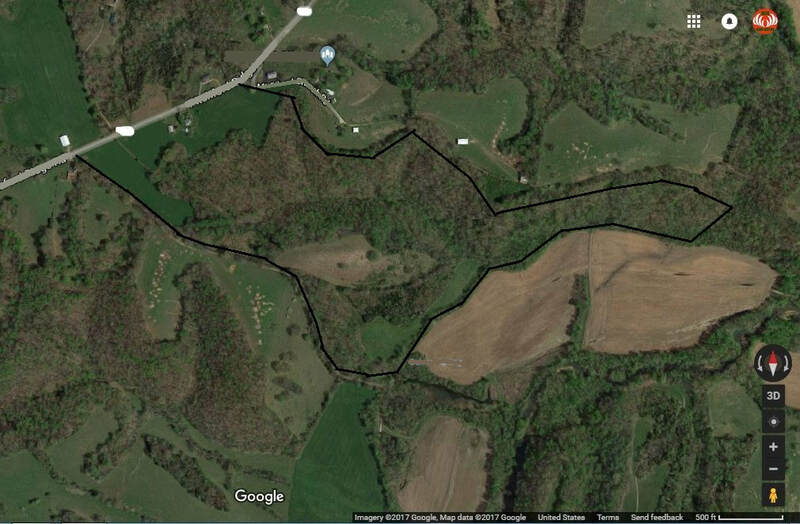 Good place to hunt West, KY on a budget. Video below. 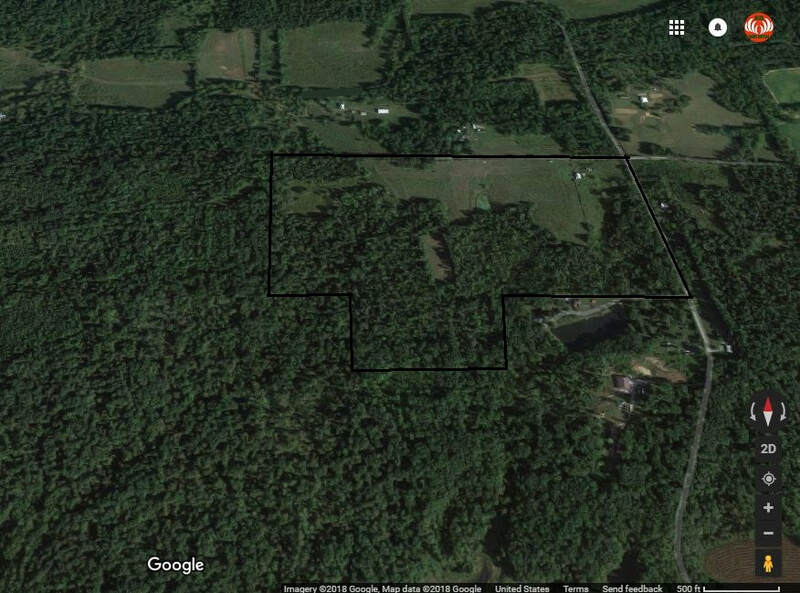 About 300 acres of well broken up hunting land just off of the Ohio River with a furnished Cabin and storage. 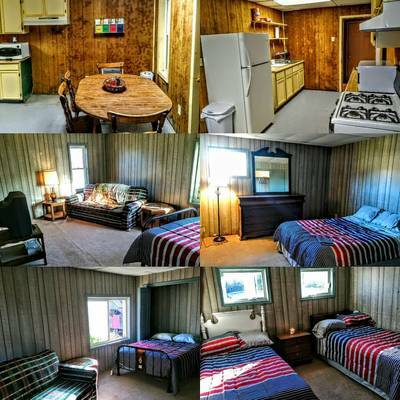 There is also a small unfurnished cabin on site as well. There are cows on the tract but they are usually moved off site or to one of the front fields during hunting season, especially rut and rifle. Can coordinate with them however best suites hunting. 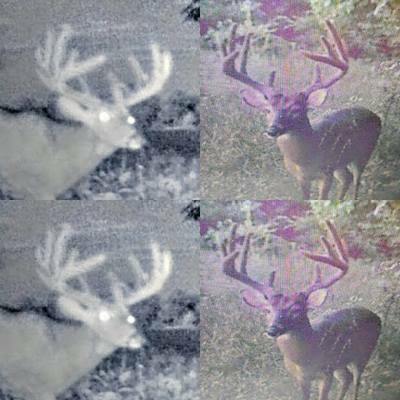 Gallery of Trail Cams and Cabin and Land Below. 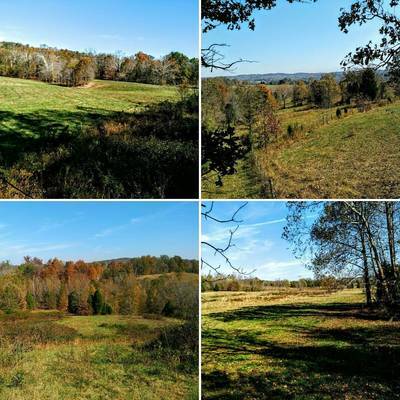 Awesome hills and crops fields in a well sought after county. All Legal Game. 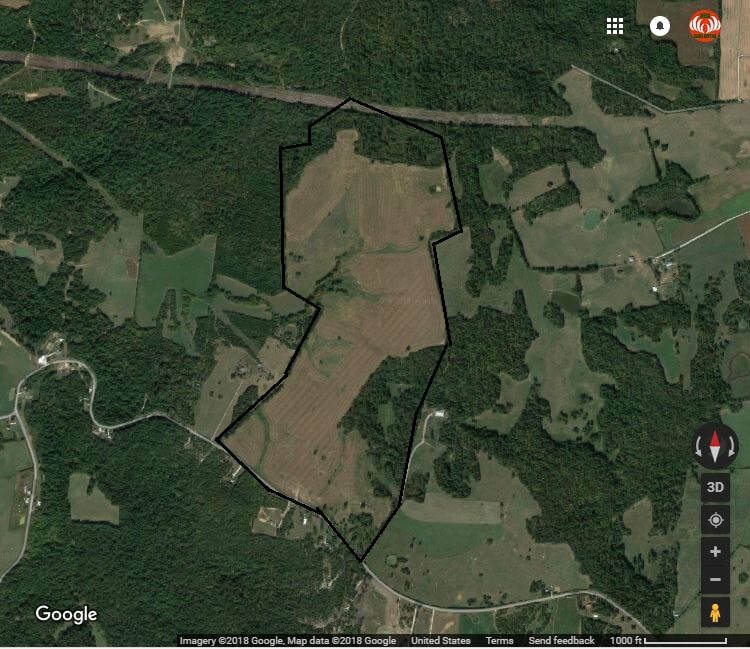 Absentee Owner so can have lots of use and control of the tract. 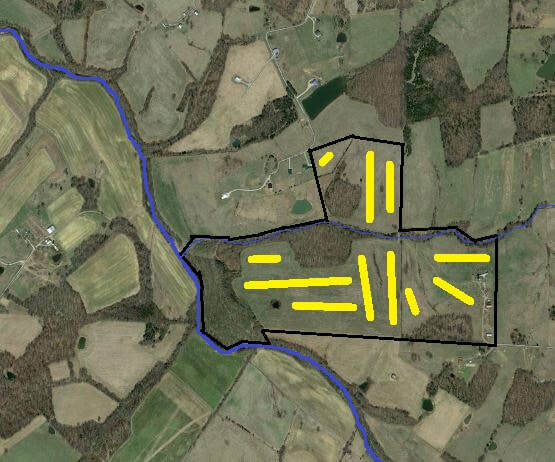 There is a lease farmer that plants the fields. 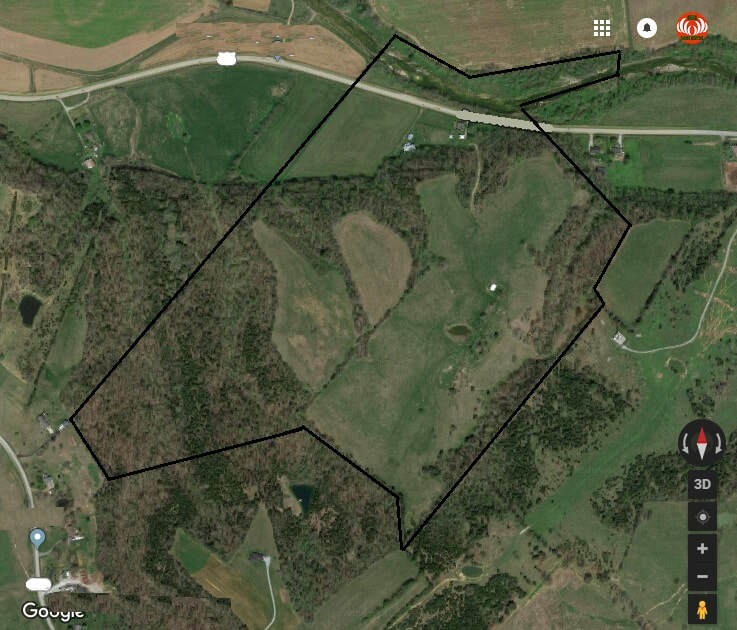 Video below is of the property but much of the CRP is now crops. Hands off owner so you have great access and control. 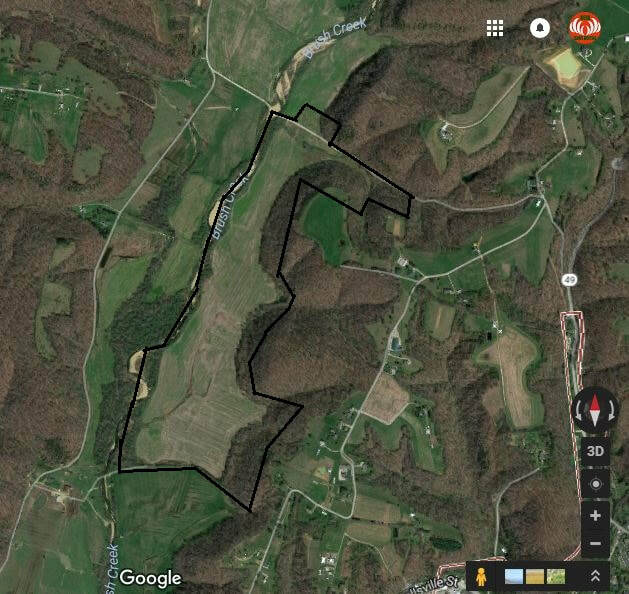 ​Good mix of woods and fields and powerline cut. Some cows on the tract but they are fenced out of most woods in the back. 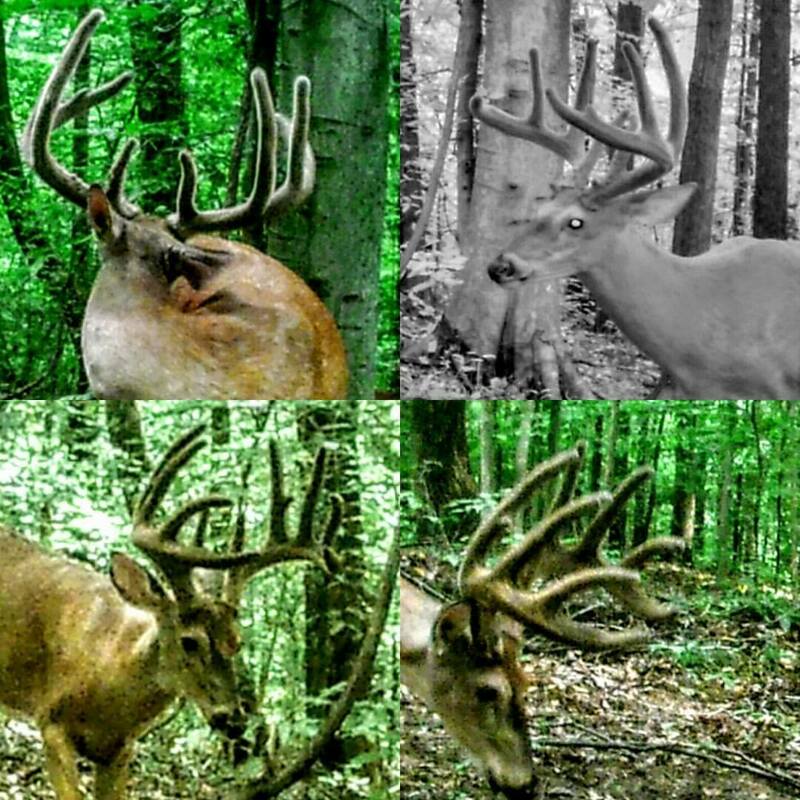 They will also be moved up front during rut. 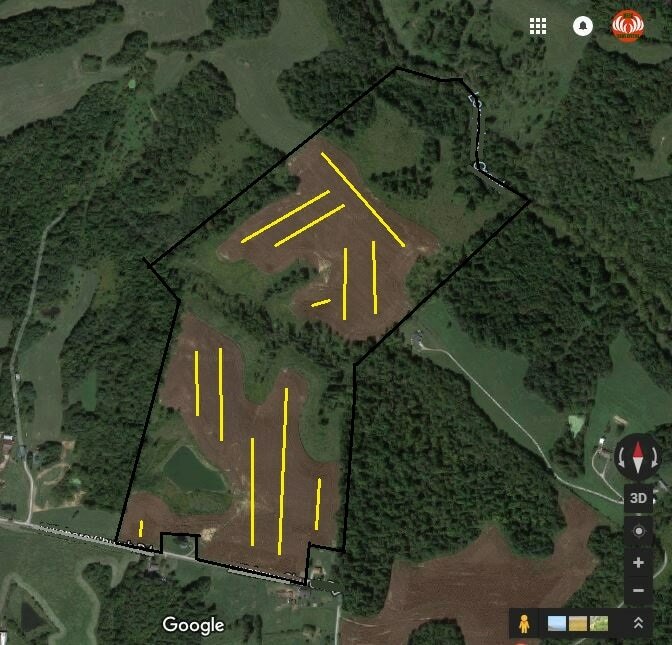 ​Owners are on site ok with food plots and campers/camping. Very secure. 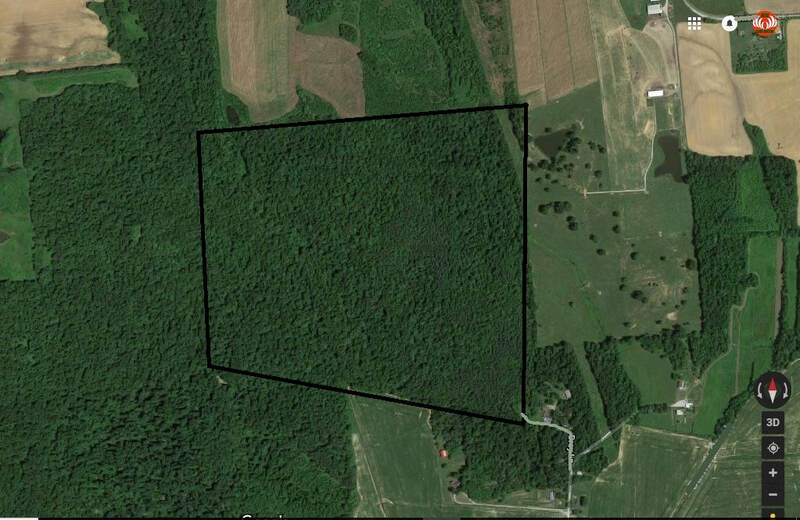 ​All wooded tract in the heart of a great area of Ohio County, KY. Local owner with a lane to the tract. 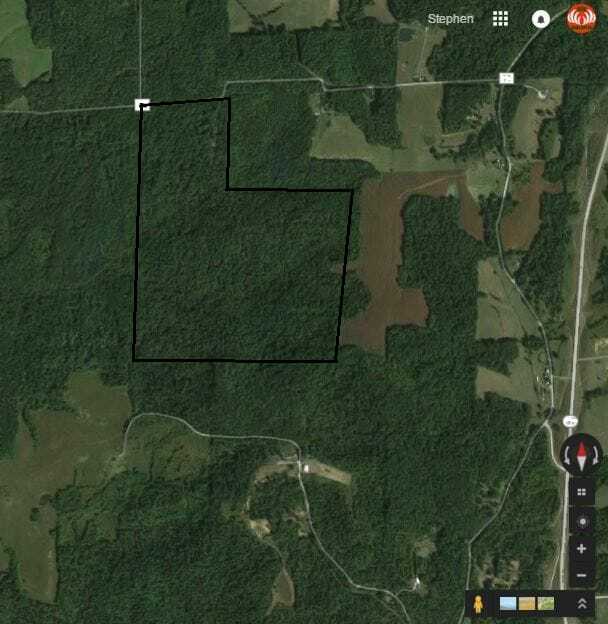 100 acres of woods and crops in a good area not far from Nolin Lake. 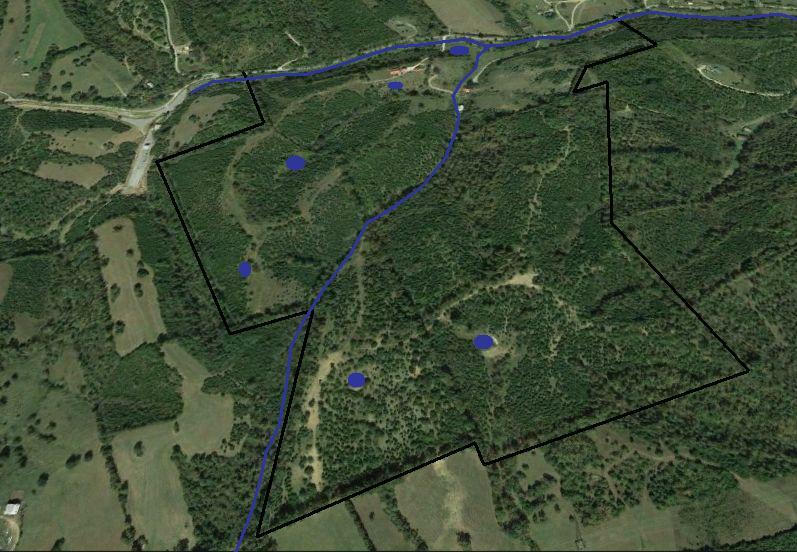 Big tract with various terrain changes. Fields in the back with no cows. Some cows up front. ​This tract had more sign than any. It's loaded and not too far from suburbia where the deer get big. 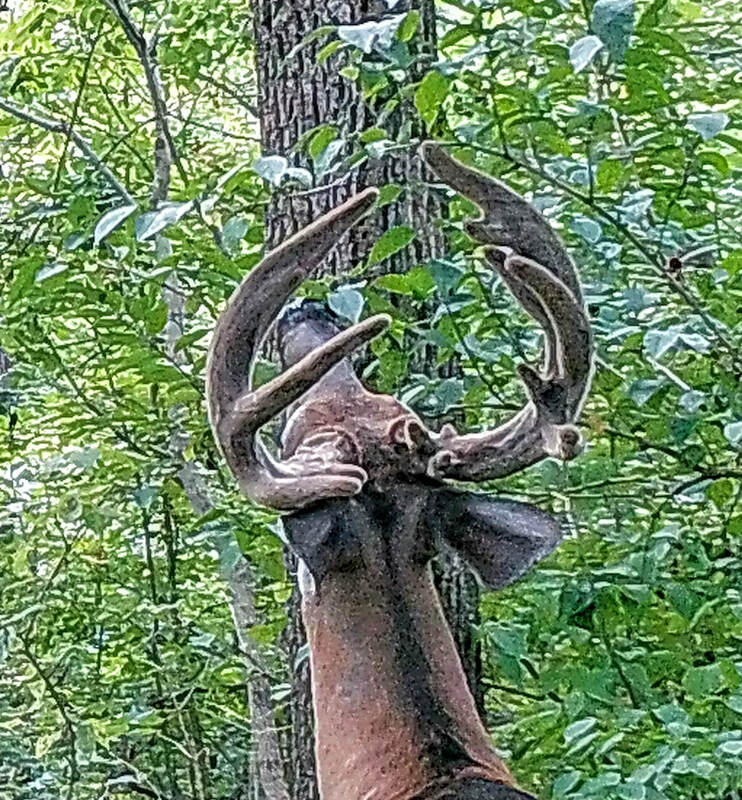 A top Ohio Buck County with great owners that keep watch over the place. See Vid. 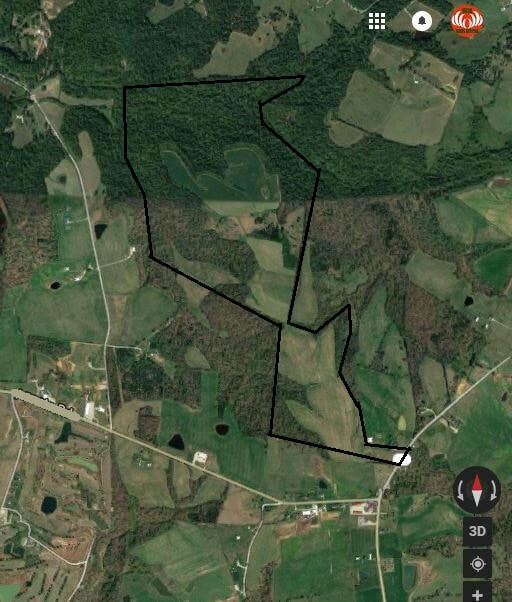 ​Great large corridor of woods near big woods and more crops. 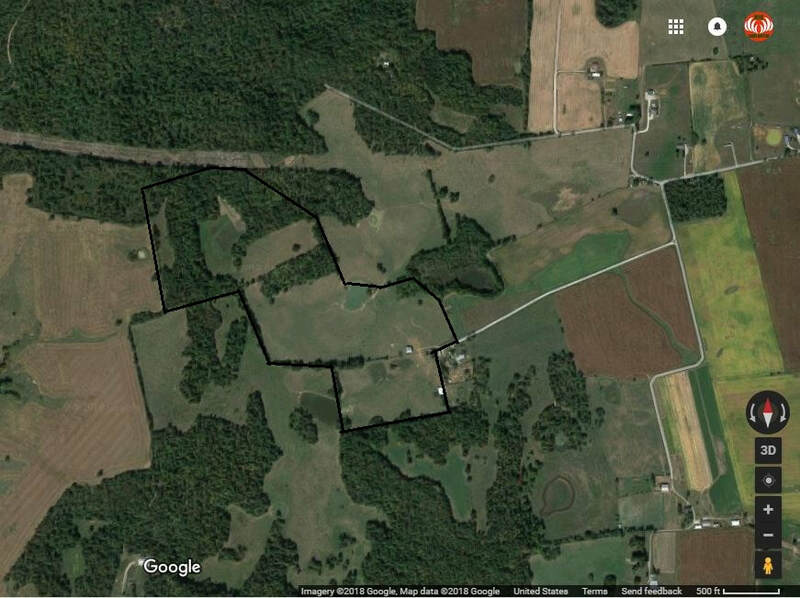 Great Owners in a great buck county. See Vid. 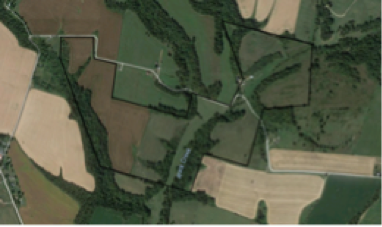 Lays like a dream with lots of wooded hooks into the fields, full time water and crops. A top Ohio Buck County with great owners that keep watch over the place. See Vid. 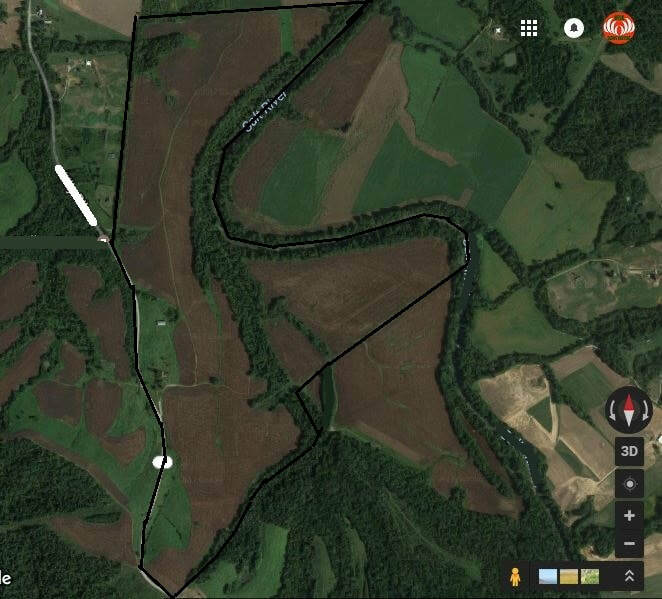 ​Solid place to catch deer and turkey using the funnel for the croplands. Several ponds to fish in as well. 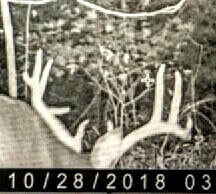 Cam pic provided below. ​Solid tract that's affordable. 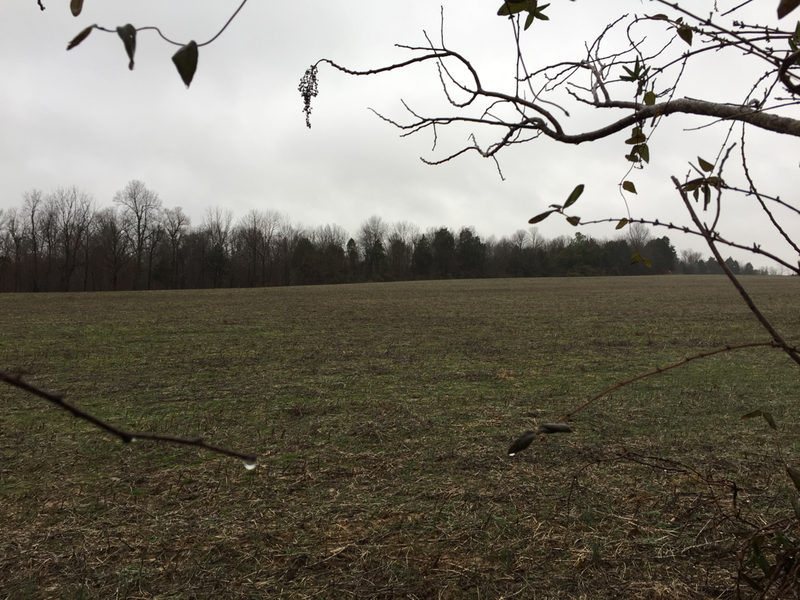 Central small field is screaming to be put into a food plot. House on site you can fix up a little for a camp. Gated. Very secure on dead end road. All Game. 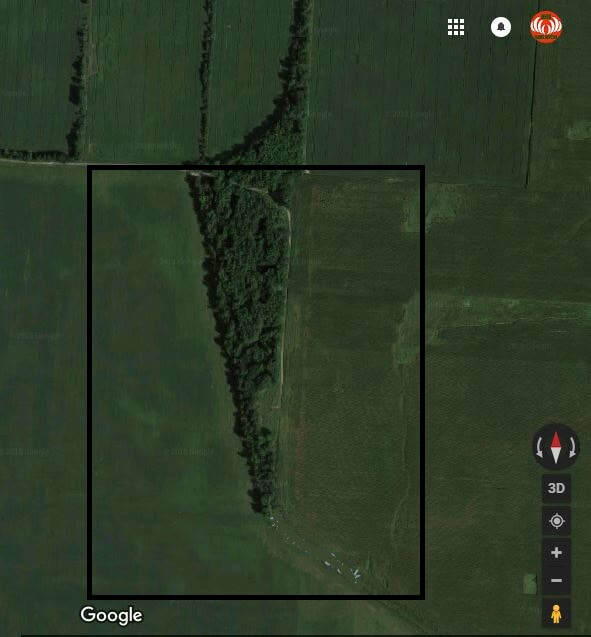 ​Solid place to catch deer and turkey using the woods and funnels to the croplands. Nice pond for fishing and catching some random waterfowl as well in the back. Video Below. ​Owner on site. Is bow only. Could be combined with the 90 but different leases would be in place. ​Owner on site and very secured. 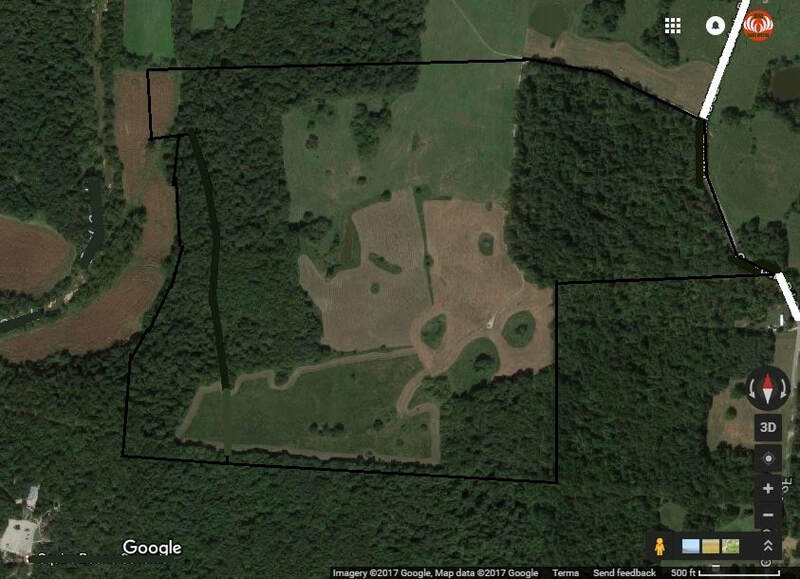 Good laying tract that has a history of food plots and fenced. There are about 10-12 cows on site at times mostly in the front field. Could be combined with the open 35 but would be different leases. 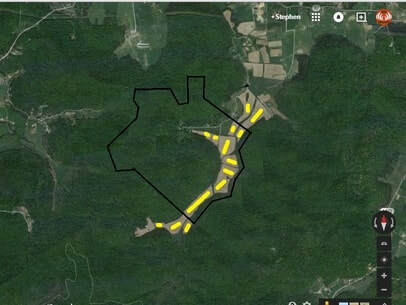 There has been some reduction in acreage due to a road and few houses being built. 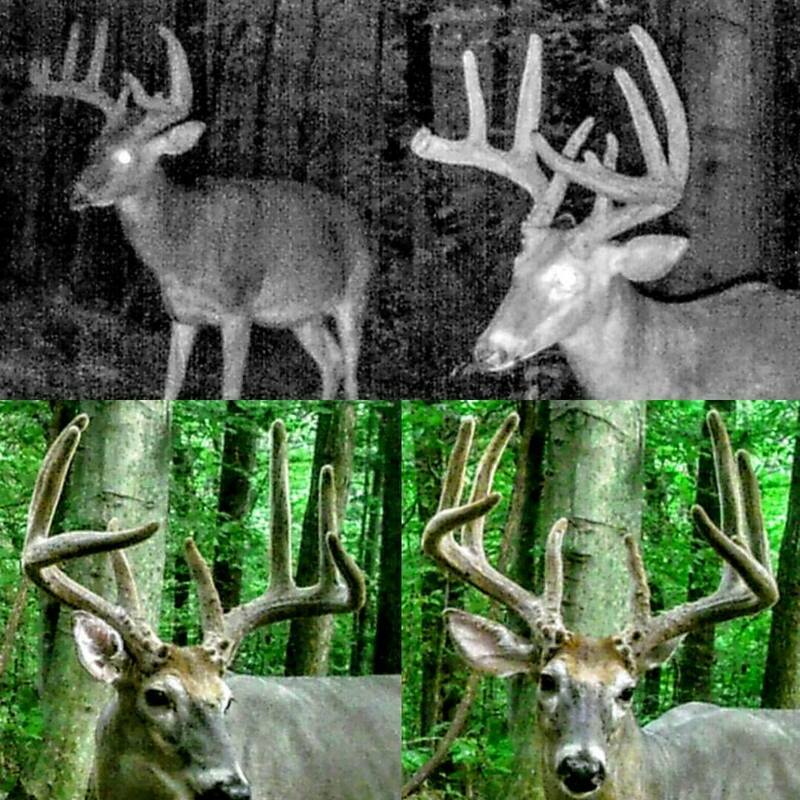 1-2 hunting spots left. You need to check it out in person as we have not visited since. 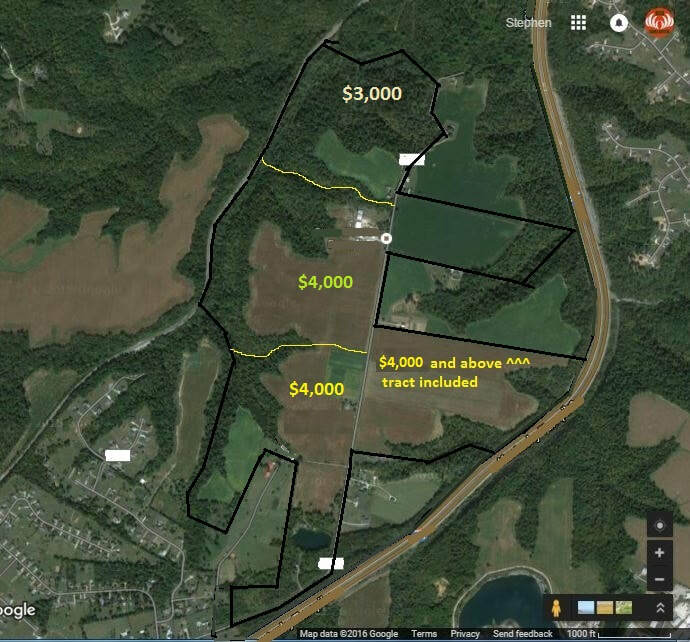 Reduced price shows reduced price shows reduced hunting. 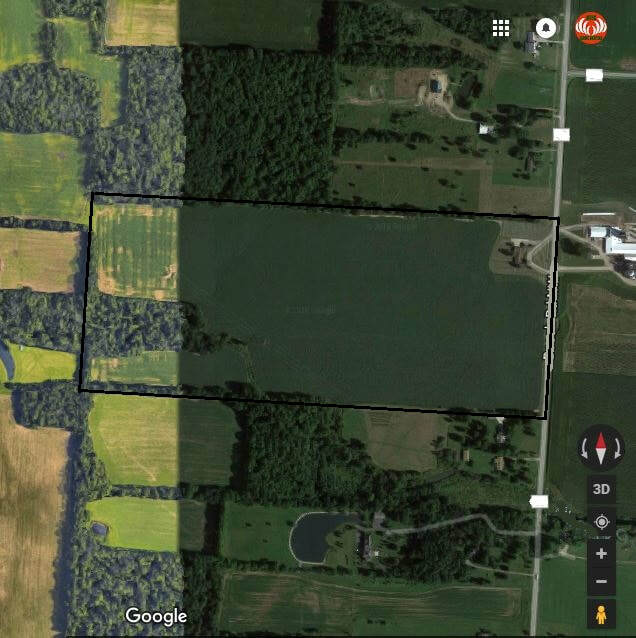 ​Great mix of woods and crops with full time water. Absentee owner. All Game. 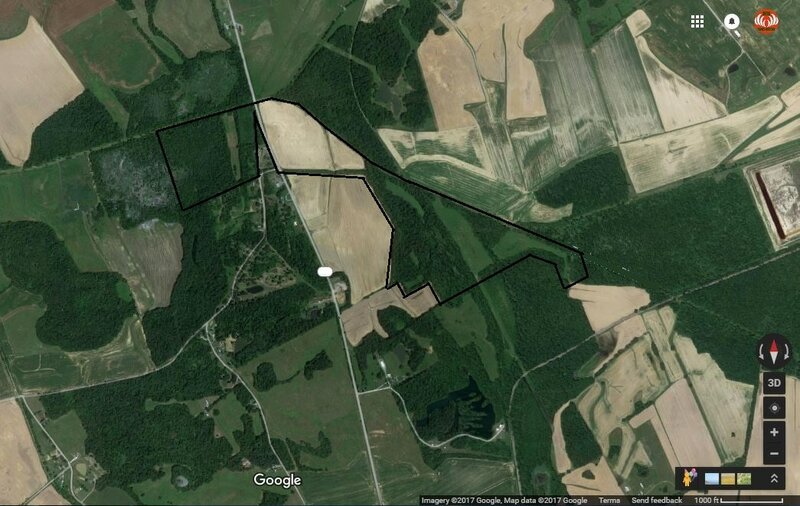 ​Good mix of woods and fields and powerline cut. Some cows on the tract but they are fenced out of most woods in the back. 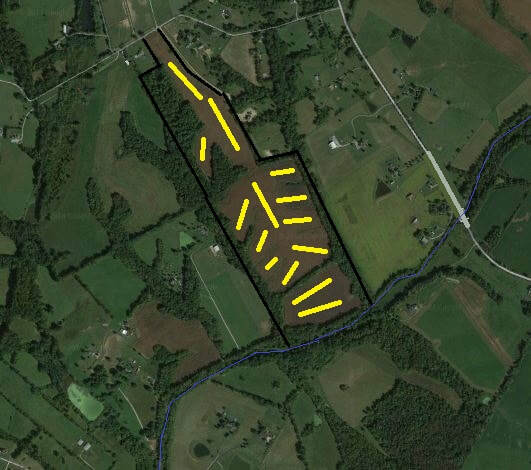 Owners are on site and ok with food plots and campers/camping. Very secure. 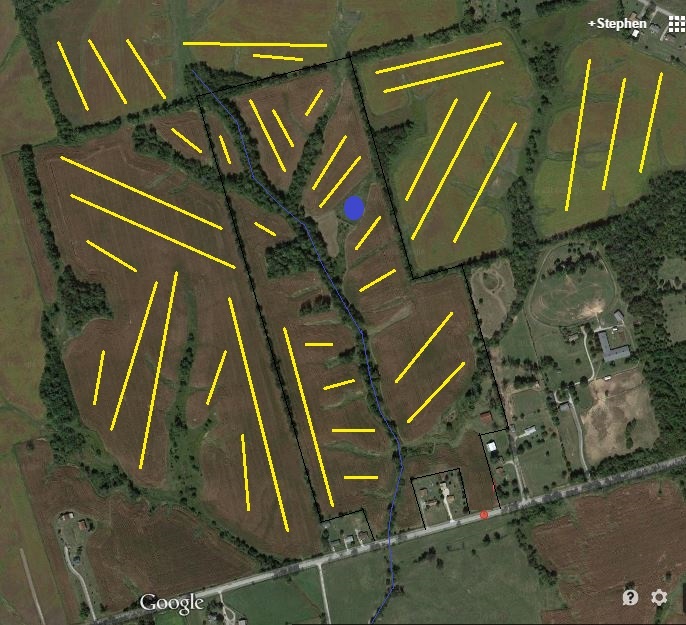 ​One of the best farms we have ever had in ur lease company. Very proven. Lays like a dream. Full access. Last time we visited it had several permanent stands. 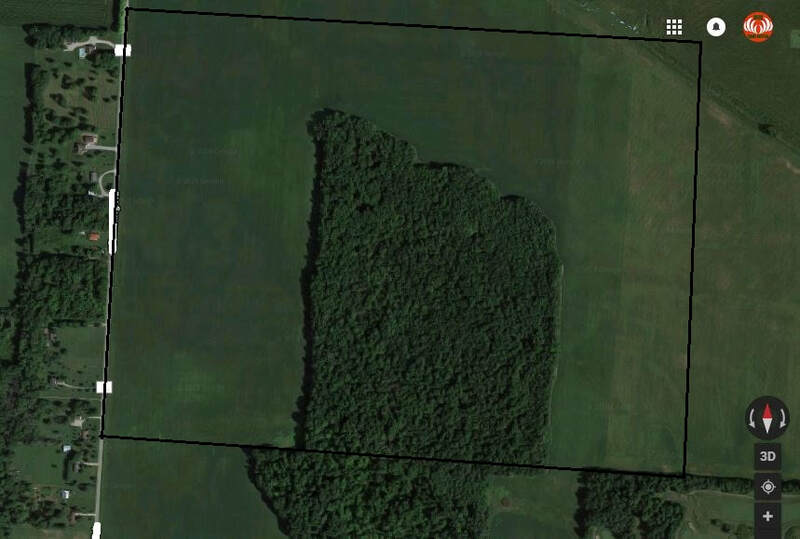 Crops in the front and woods in the back. 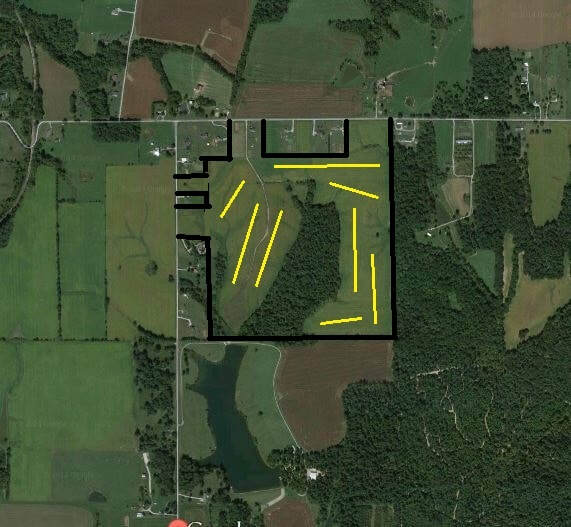 1 large lake and 4 ponds. Crops planted around most. 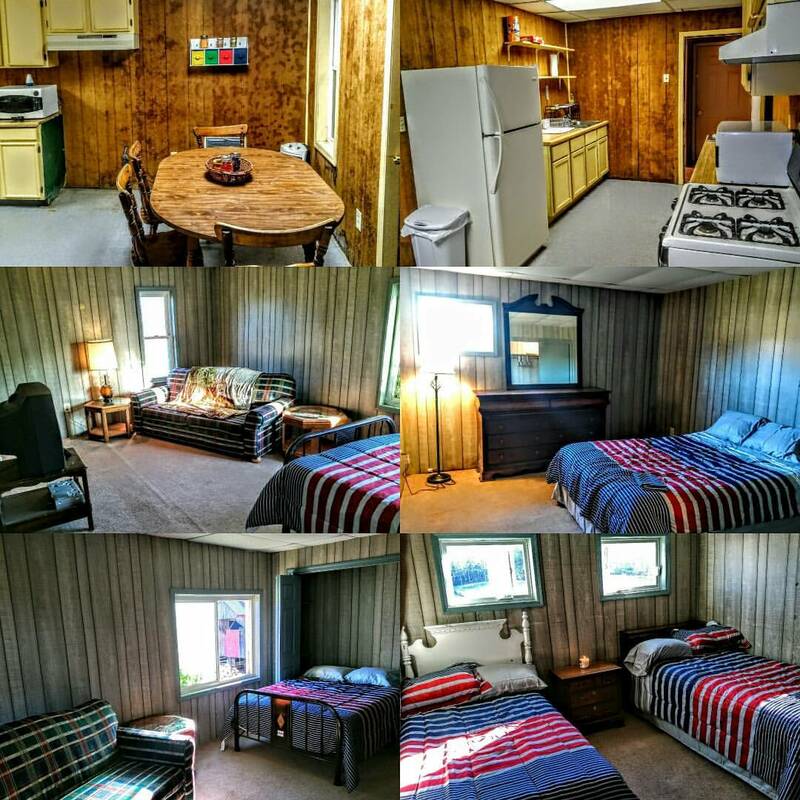 All Season waterfowl lease and includes fishing. Can build blinds. Hunts very big. 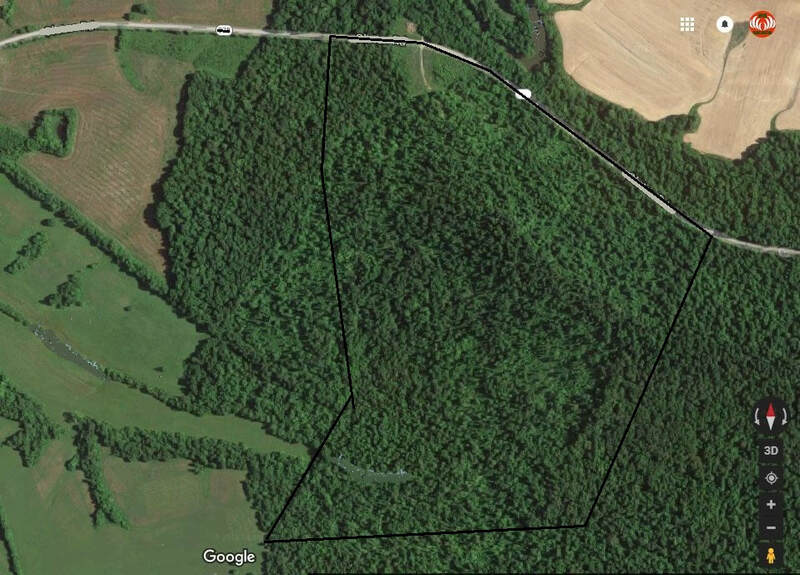 Tall Pine Stand runs through east side and the rest is mature hardwoods with a few thickets. 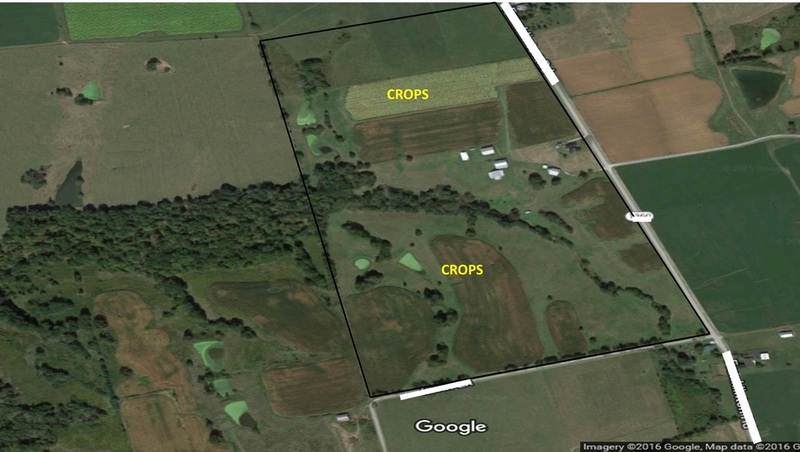 Crops planted to border in some spots. Saw many turkeys and good deer tracks. Gated. 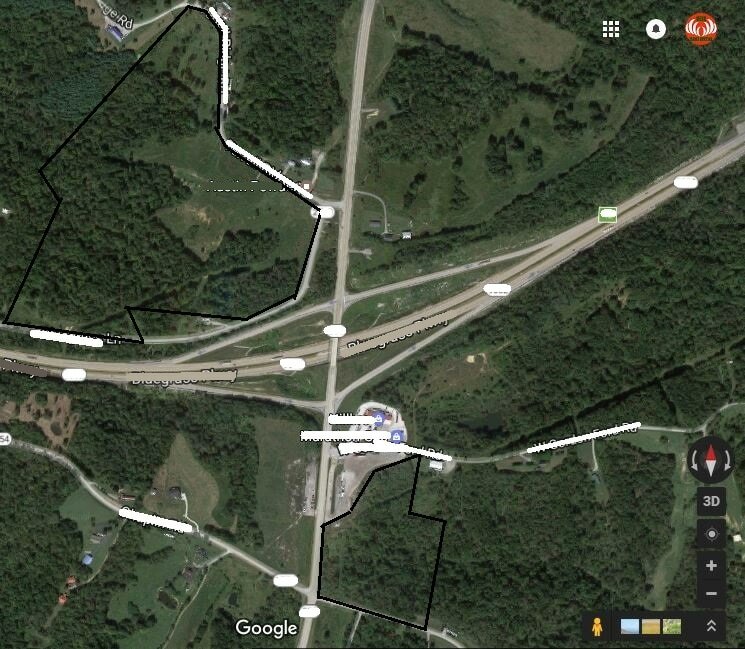 Great Road System. Great area well known close to Hartford. Video will be posted soon. 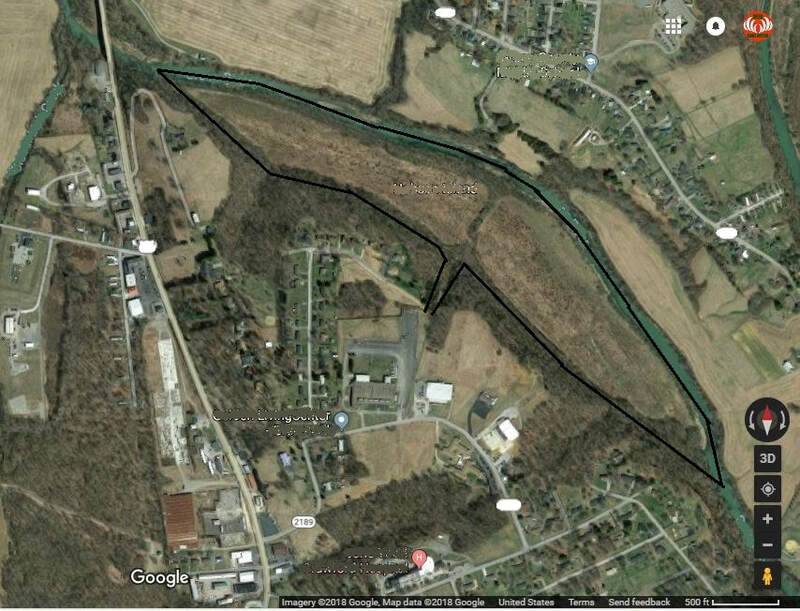 ​Large Tract with many ponds also in a hot area close to the Ohio River. Right kind of woods to hunt 5 or so at a time even during rifle. 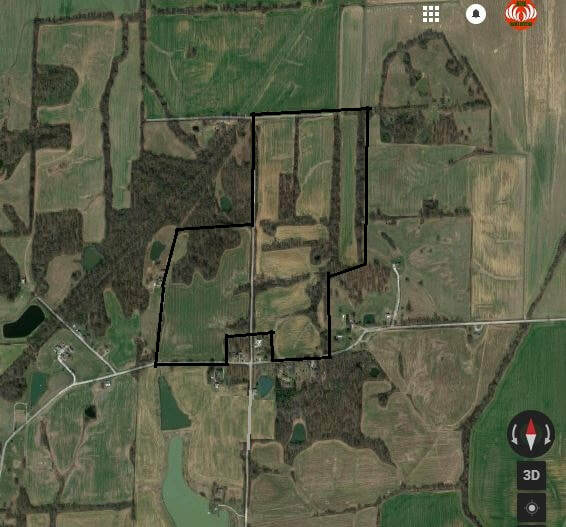 Awesome tract right next to Rough River and tons of croplands. 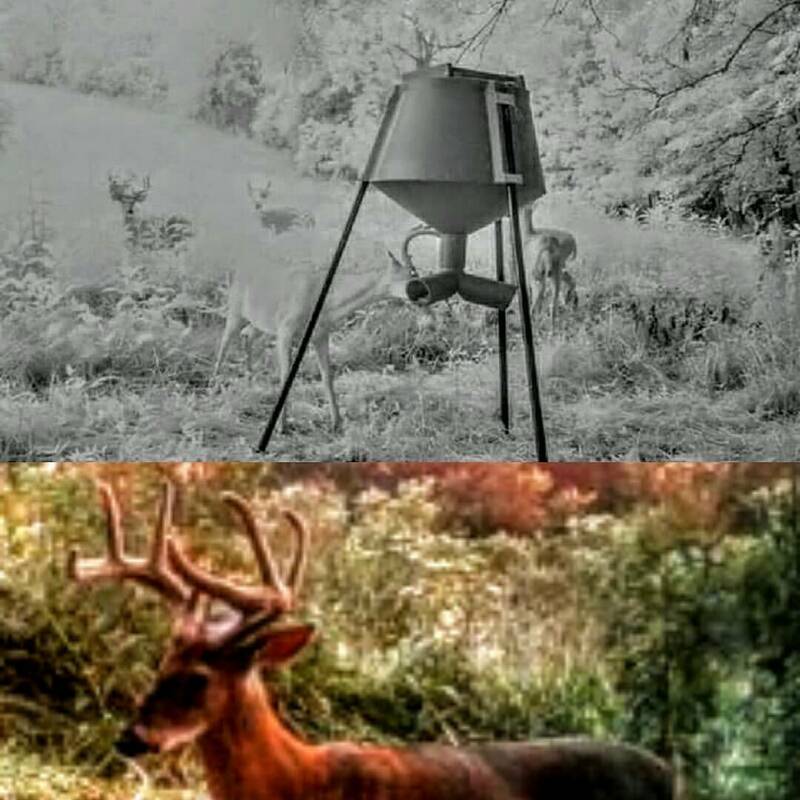 Near the Ohio County line in one of the hottest areas of KY.
Good trail cam history. Good location. ​Outstanding mix of woods and hills. One of the best bottoms we've ever seen in the back. ​A premier county for both near and far. 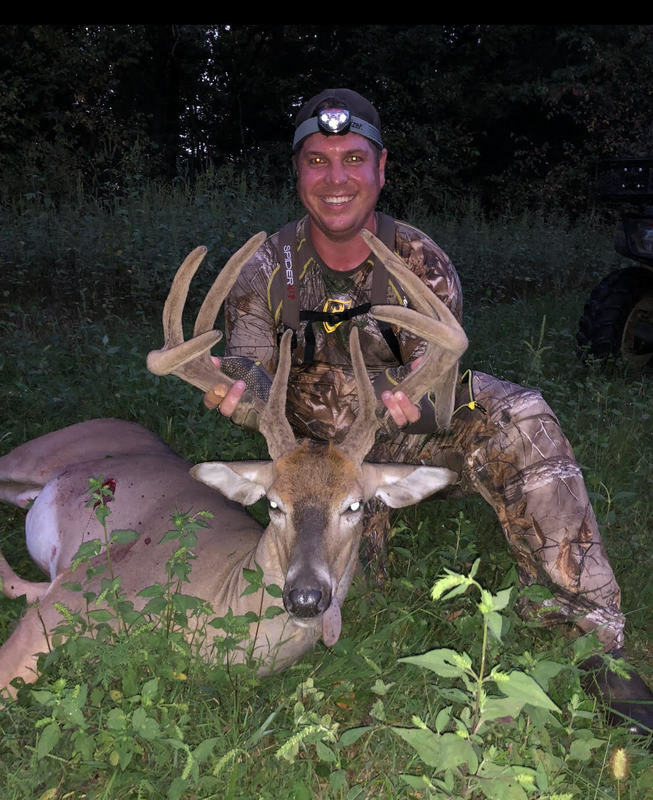 A top buck county in OH if you're out of state, yet only 20 minutes from downtown Columbus, OH. Borders a Golf Course so you know how those deer grow! 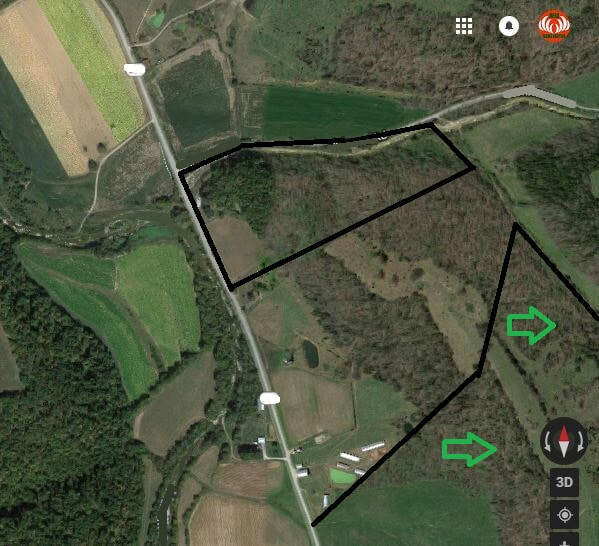 Owners are close and keep a good watch on the land. See Vid. A premier county for both near and far. 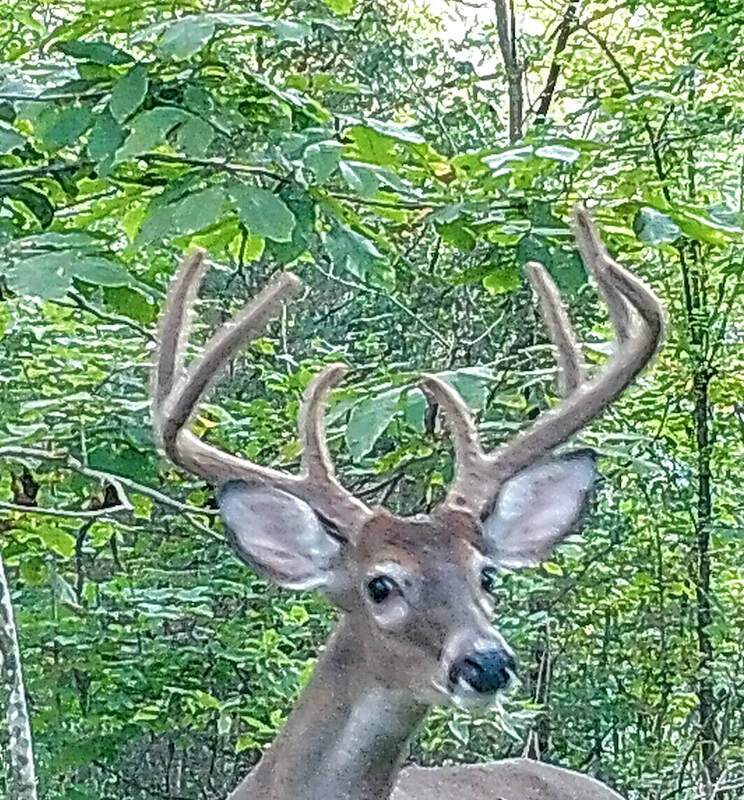 A top buck county in OH if you're out of state, yet only 20 minutes from downtown Columbus, OH. Owners are close and keep a good watch on the land. See Vid. 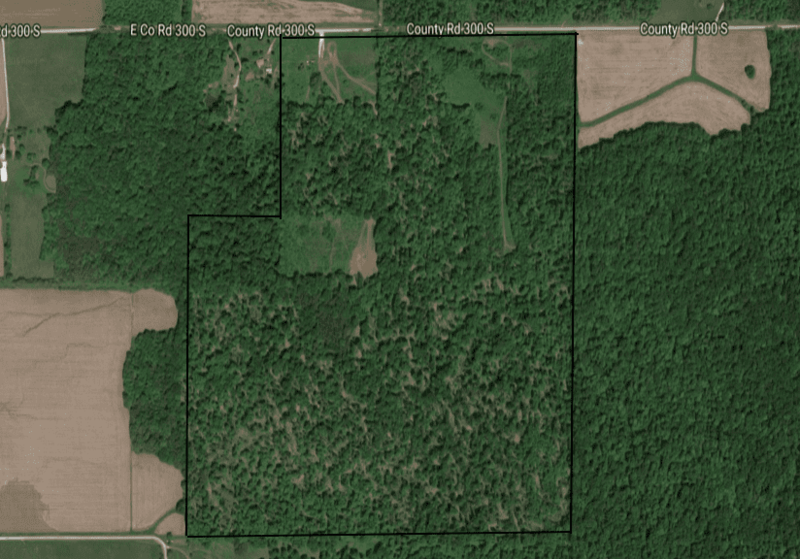 Amazing Tract in a very good area. 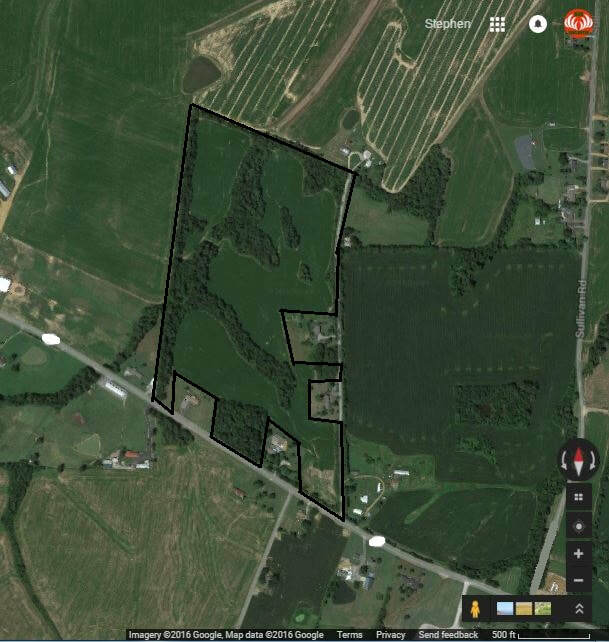 Lays big with elevation changes and crops mixed with woods and grasses mixed. Saw Turkeys and many Deer. Lays Great for Bow and Rifle. Awesome Owner/Farmer. Video of 360 is to both sections. Would be preferred to keep together but no real discount for joining. ​One of the top looking places we have seen. 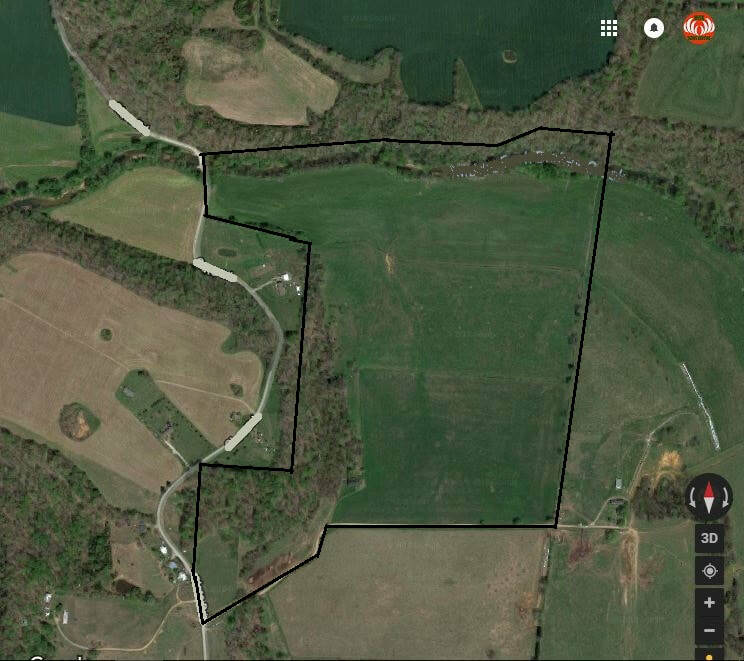 Great mix of everything you want in a top Booner KY County. Video of 360 is to both sections. Would be preferred to keep together but no real discount for joining. ​Great tract along the Barren River. Woods, water, crops and thicket. Good history and Year-Round All Game Access. Awesome opportunity. Great mix. Loaded. 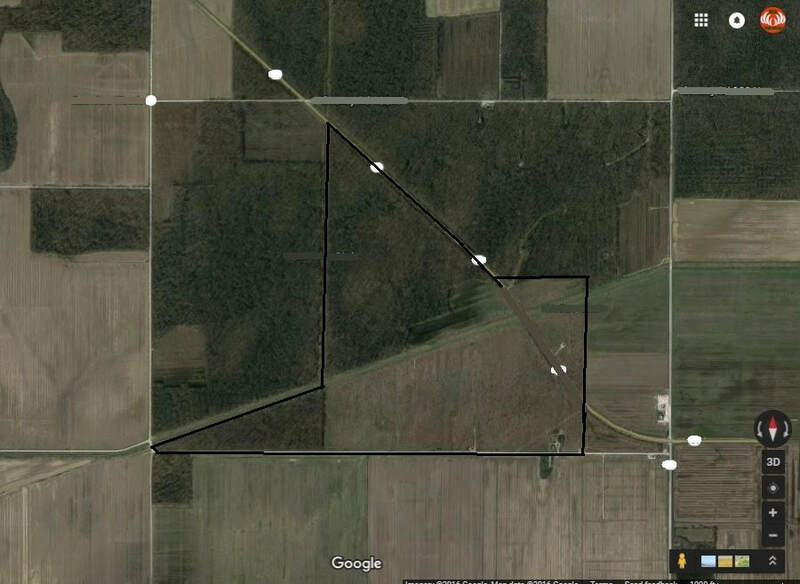 One of the most well know deer hunting corridors in one of Indiana's best hunting counties. Owner on site there is extra security. Cows in some spots but not all. 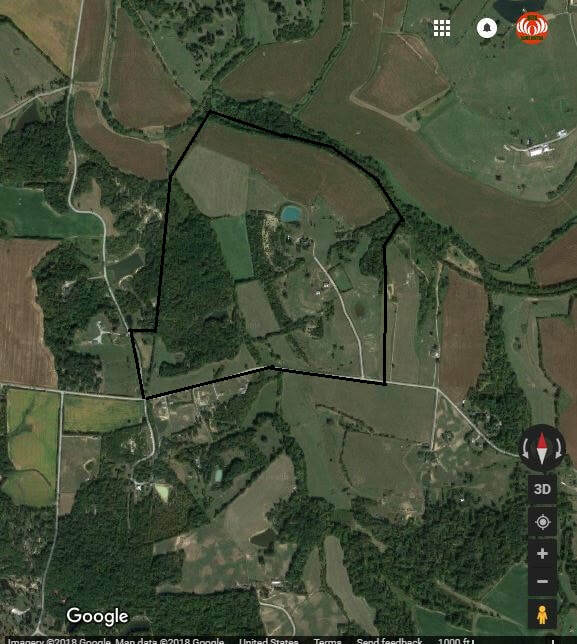 Video and Pics Below of the Various Tracts of this large Farm. 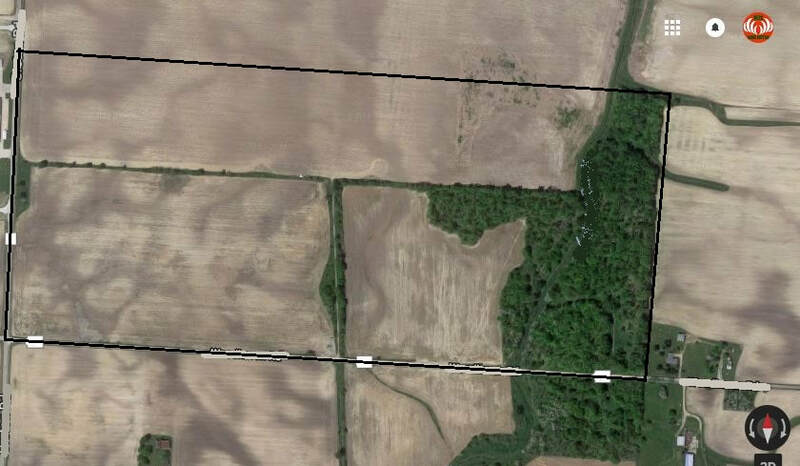 Crops and woods with a little powerline cut on this tract in a very hot county. Year-Around all game access. ​Awesome opportunity. The kind of owner you want. 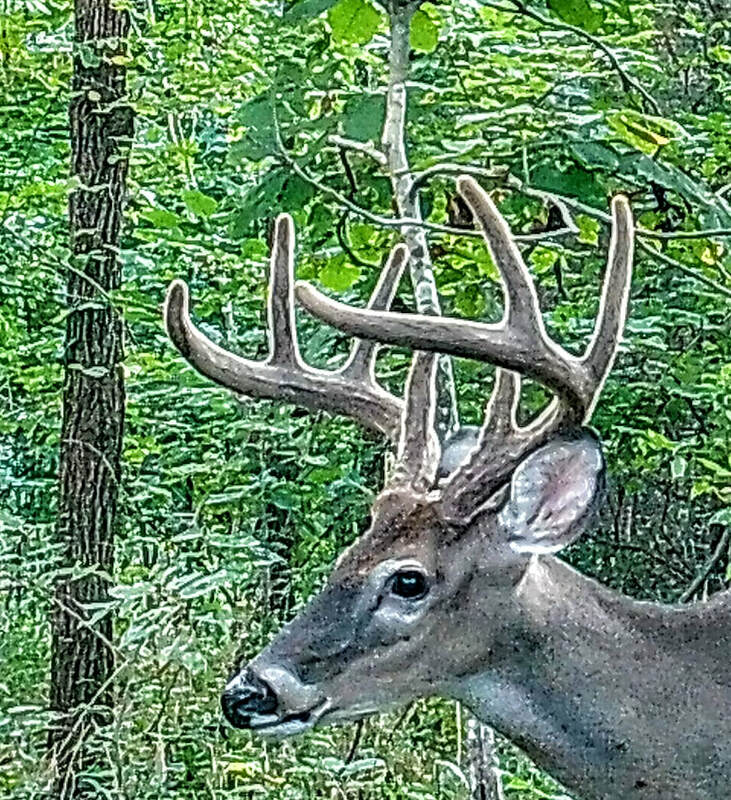 He wants you to do food plots, can have a camper on site. Nice pond for fishing. 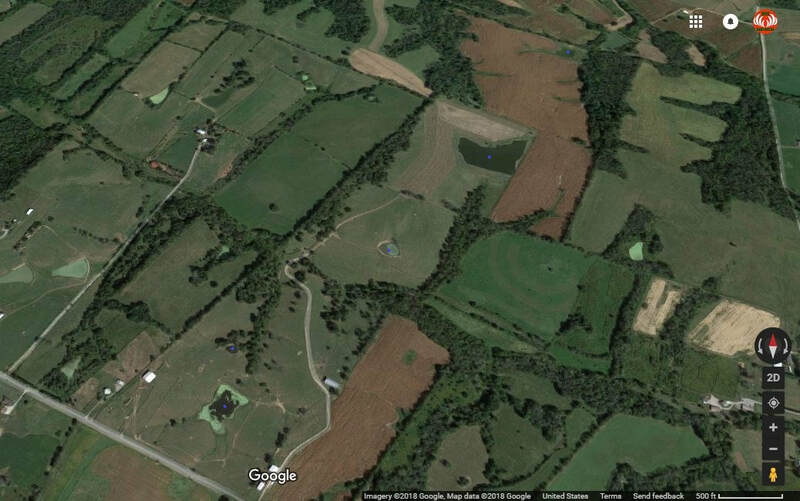 Pretty setting about 35 minutes East of Lexington, KY. Also close to Winchester and Mount Sterling. Awesome Island in the Green River Loaded with Deer. 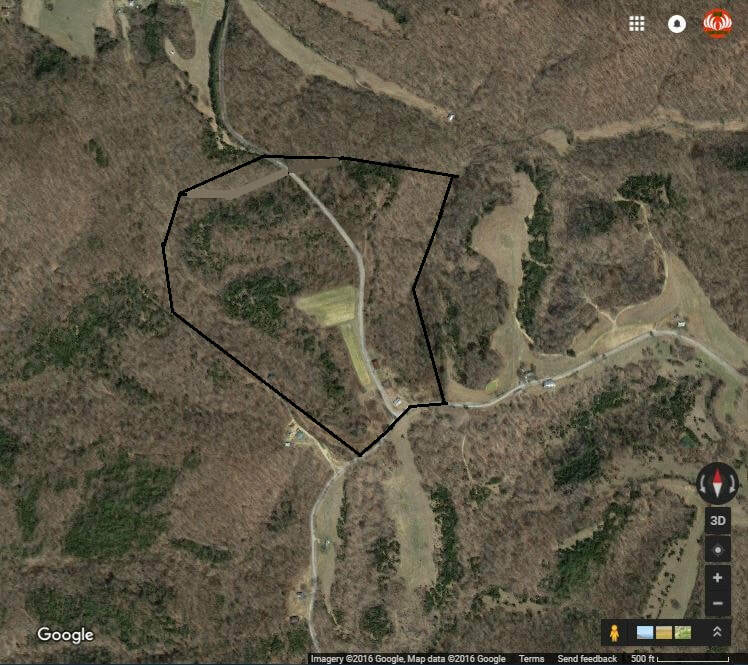 Great staging area for duck hunters also. 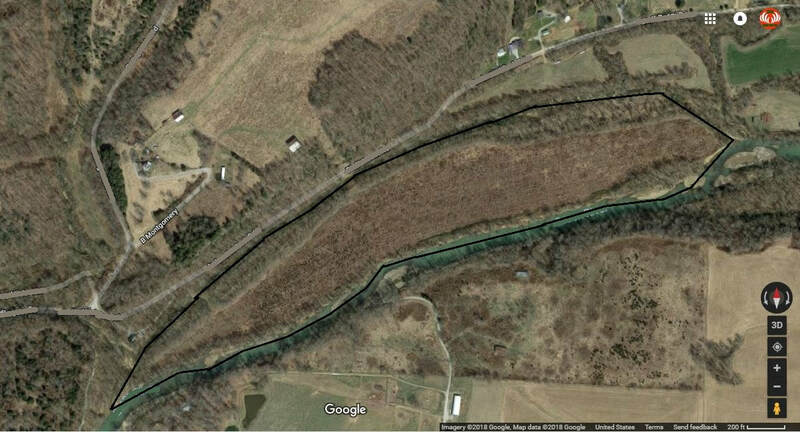 Full Time Culvert access unless major flooding. 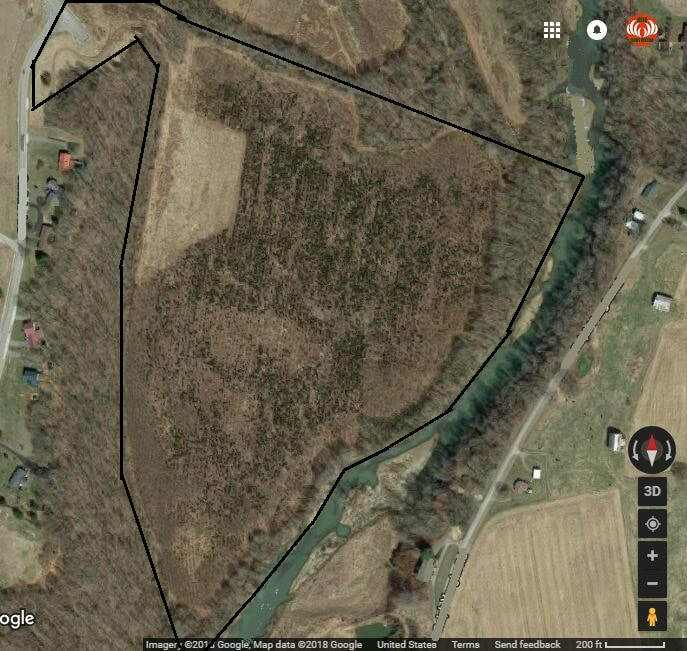 Green, KY 56 $1,500 Awesome Deep Bottom Land along the Green River Loaded with Deer. 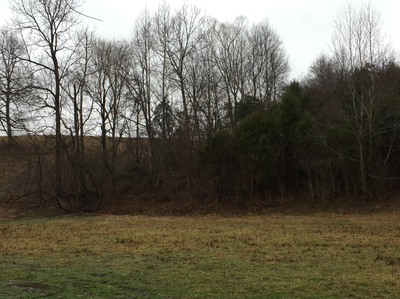 Awesome Deep Bottom Land along the Green River Loaded with Deer. Giant field already in place for great hunting. 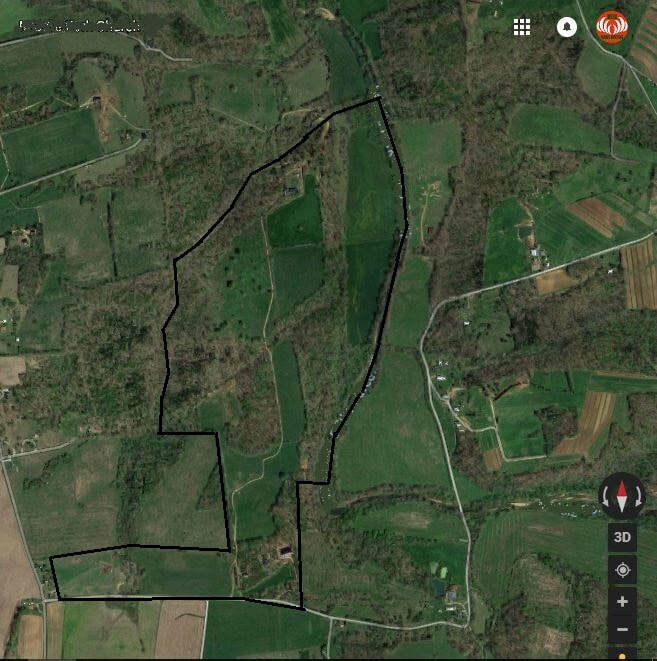 Lays like a dream with lots of wooded hooks into the fields, full time water and crops. Even saw some wild Pheasant while on site, its that nice. 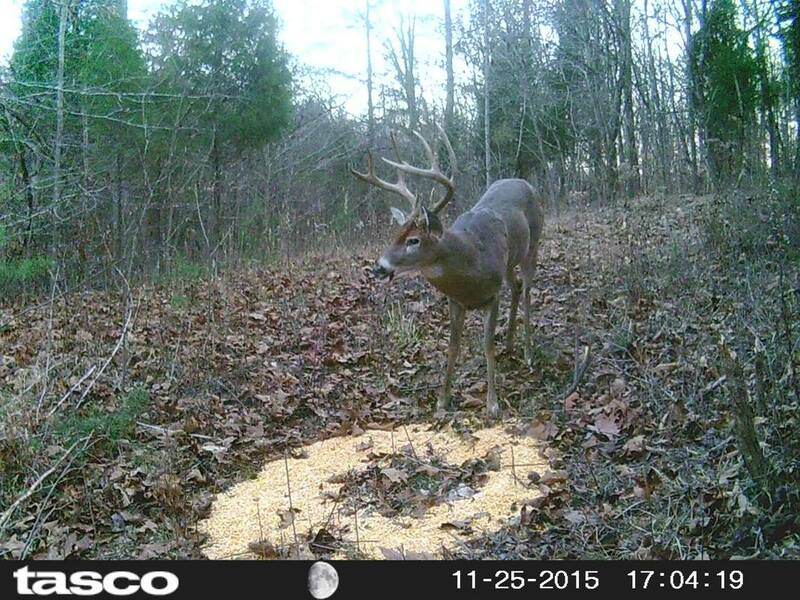 A top Ohio Buck County with great owners that keep watch over the place. See Vid. 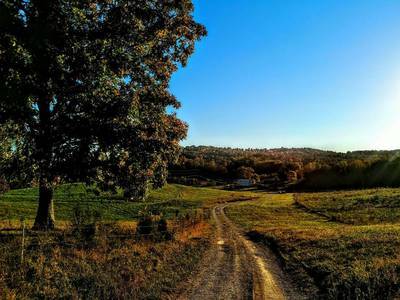 ​Lays like a dream with lots of wooded hooks into the fields, full time water and crops. Even saw some wild Pheasant while on site, its that nice. 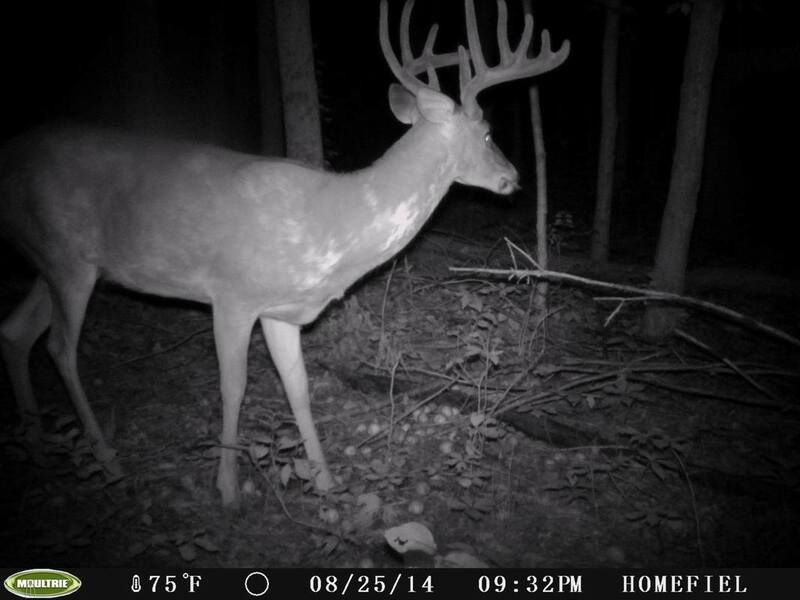 A top Ohio Buck County with great owners that keep watch over the place. See Vid. ​Awesome tract. Loaded like crazy with deer. Video coming soon. Looks awesome by a river and a park. Should be loaded and convenient to the Chicago area suburbs. 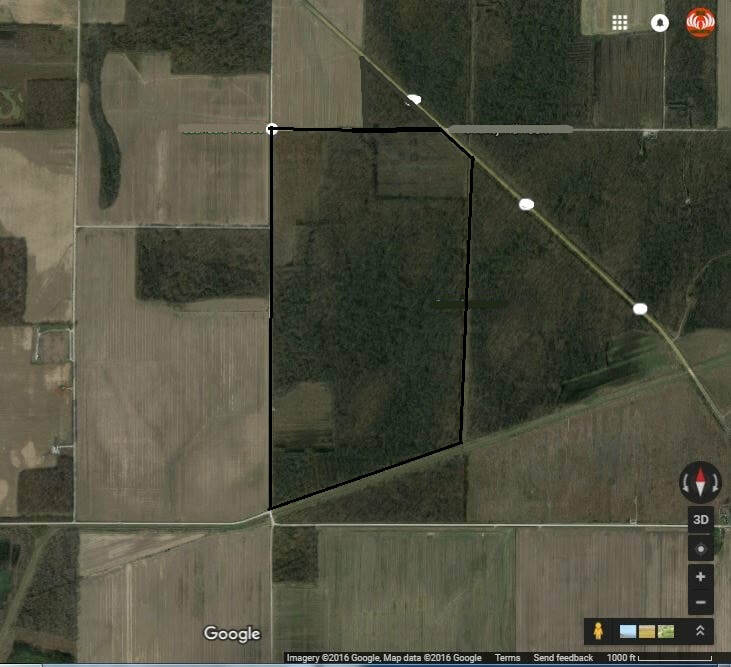 Looks like a good opportunity in a hot county. 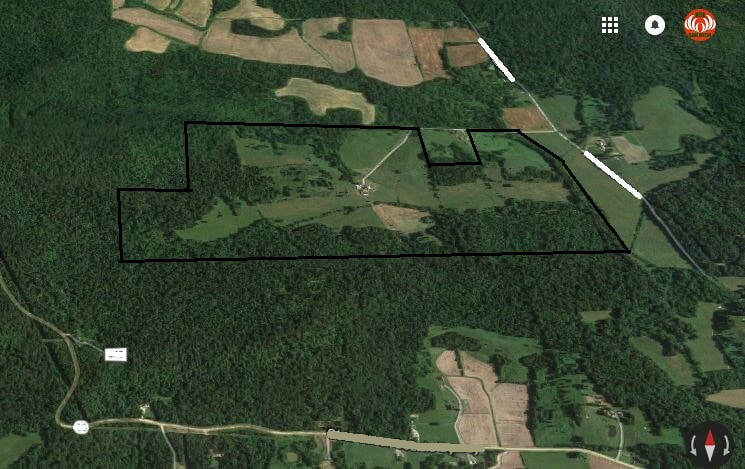 Not a lot of woods but looks like good enough woods to hunt a couple people. 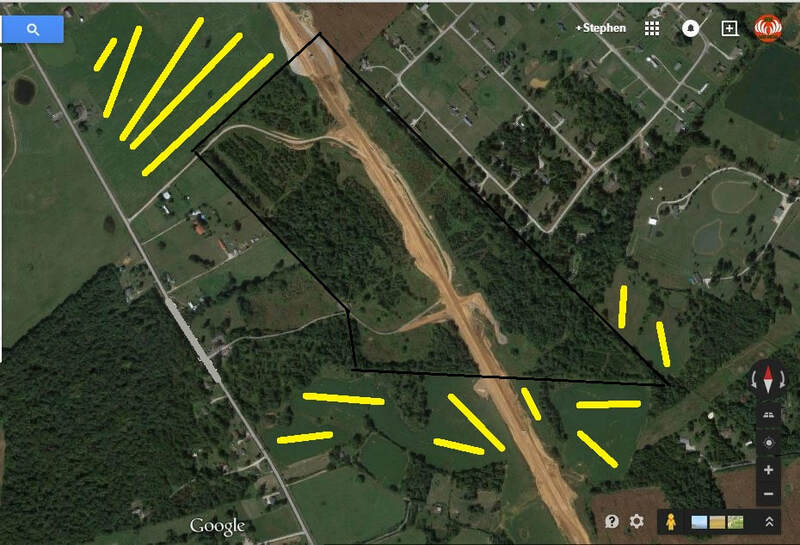 Great looking place convenient to Louisville, KY. Possible housing option on site. 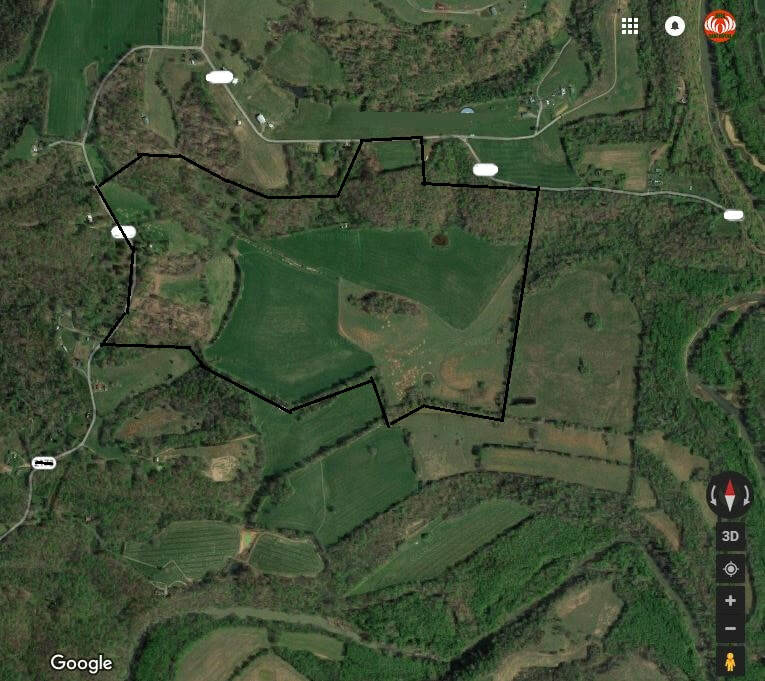 Awesome spot in Central TN in an above average deer county. Also have been told there are hogs. Housing option on site. Our kind of hunting with one of our very favorite landowners. 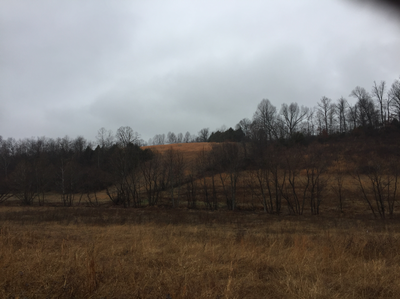 Cedar scrub rolling hills with many pot bunker ponds, full time creeks, hardwoods draws and is absolutely loaded with deer and turkey. 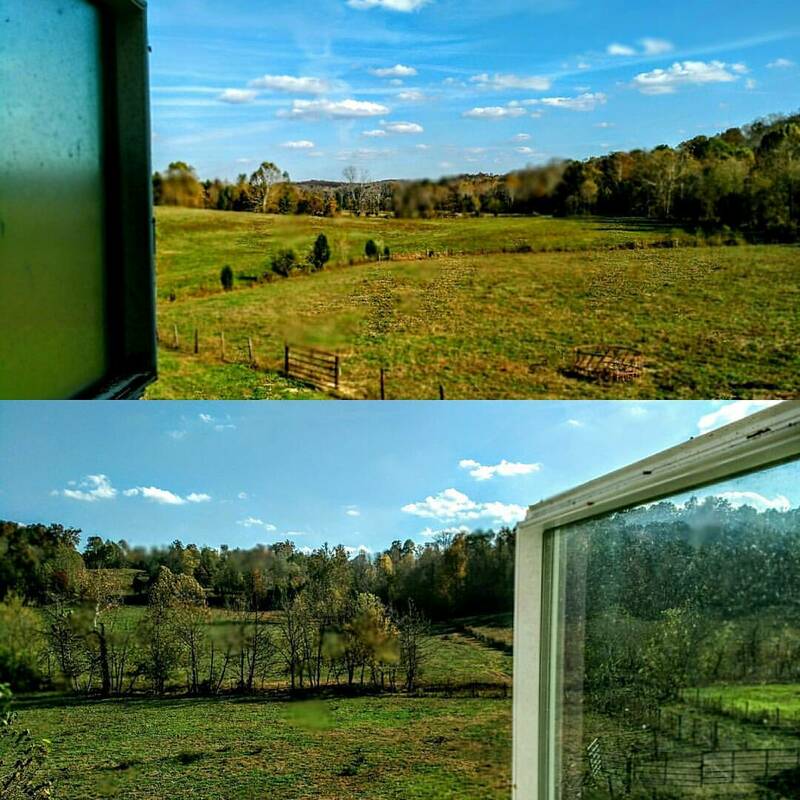 Owners live on site and have an additional amazing furnished house in the bottom that you can rent to stay at while you hunt. ​One of our most proven tracts. Camp on site. More wildlife sign than you can imagine. Go to our Youtube Channel and search ScottMK for crazy vids. 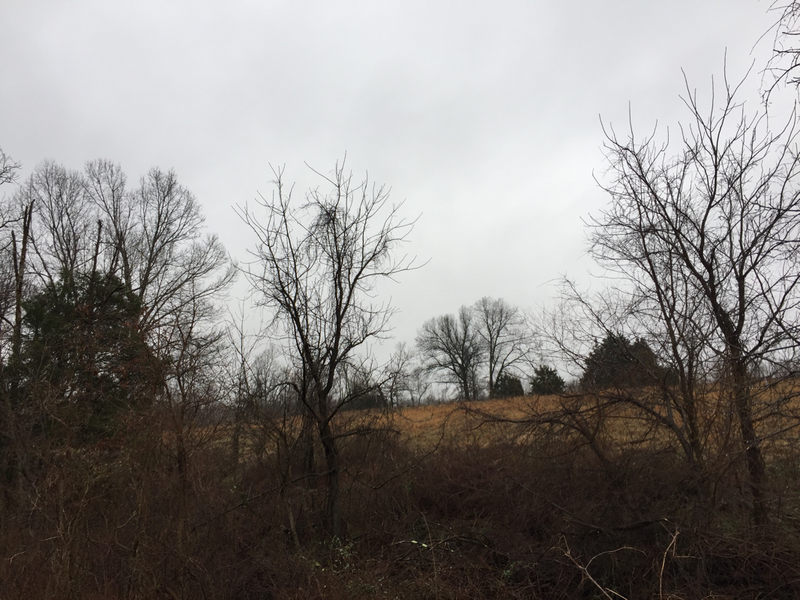 A couple tracts close to each other right along the Bluegrass Parkway. 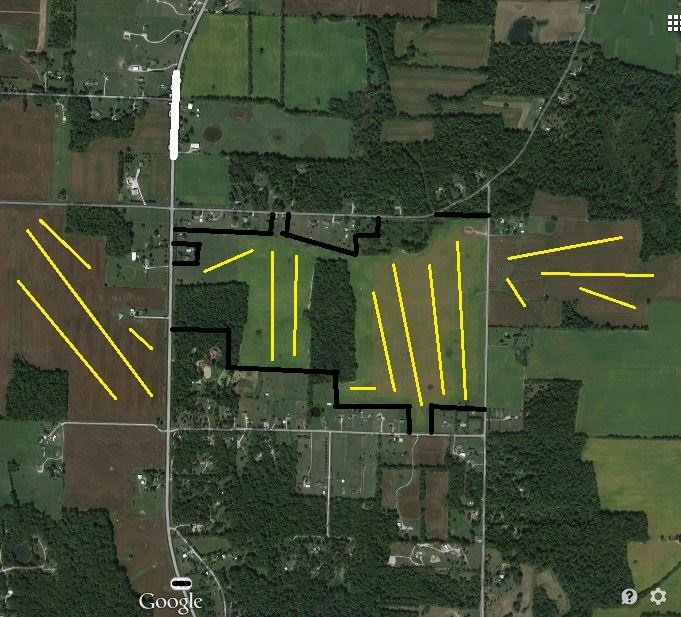 Hands off owner so food plot it and use it as much as you want. 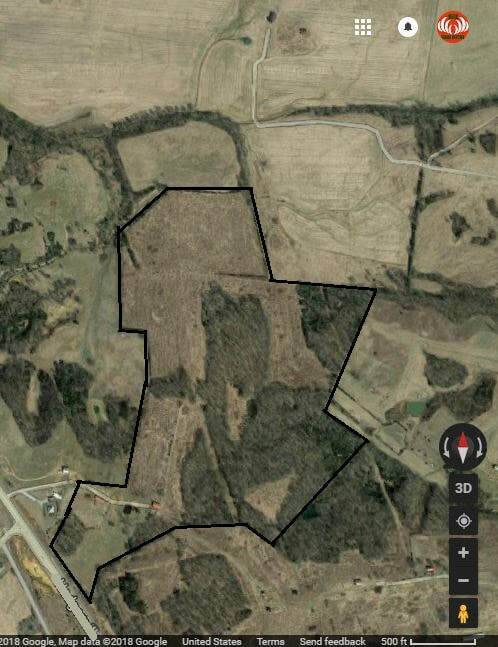 Great mix of aged woods due to intermittent logging over every several years. Several Power and Gas Line cuts. Rolling White Oak Hills. Crops all around. Young owner so good possibility to renew for a long time. Can park a camper. 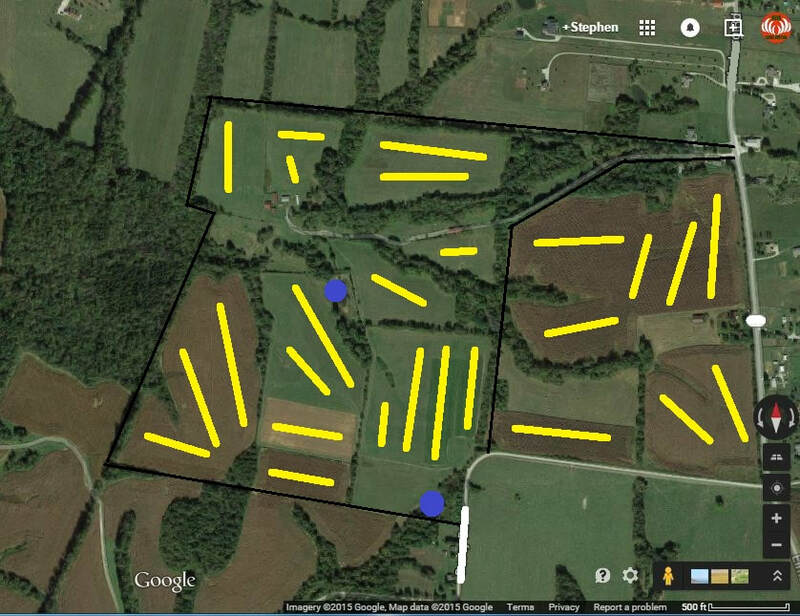 Can food plot fields. 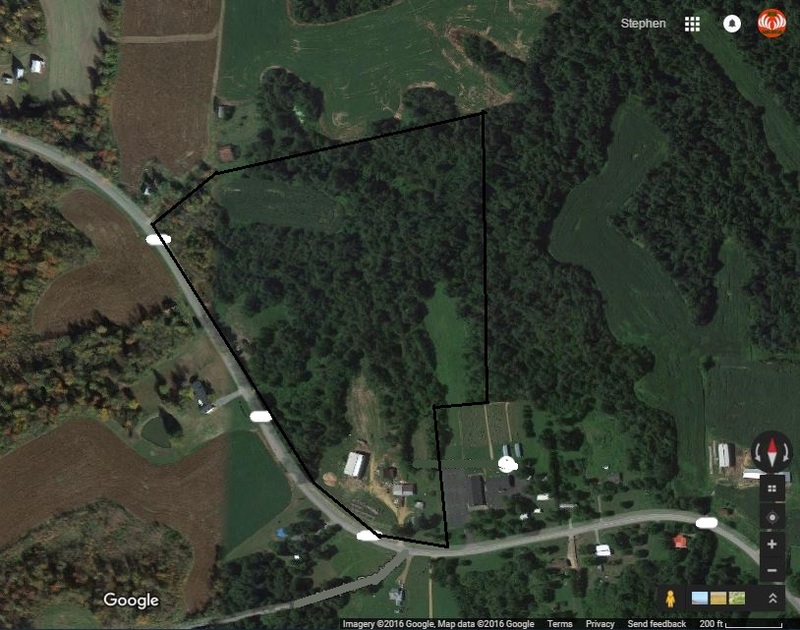 ​Owner encourages lots of access. 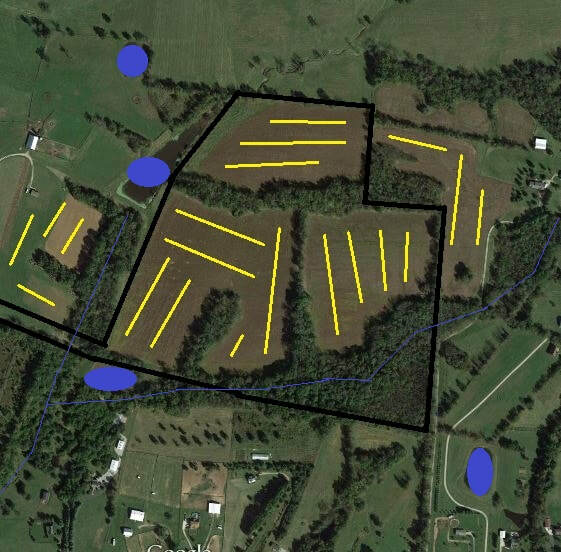 Food plots, etc. We don't know what is planted each year in the ag fields. 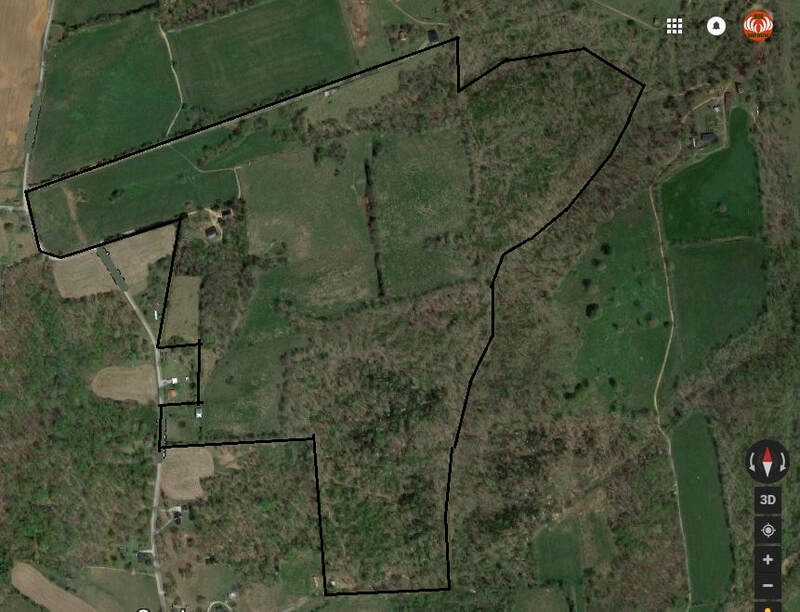 Great bottom land farm along the Barren River Bottoms. There are some fenced cows at times. 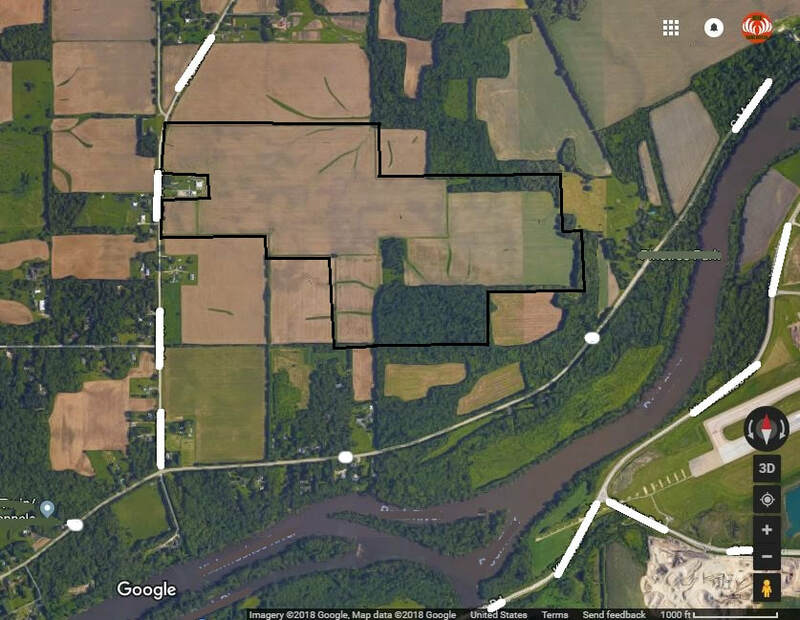 More than likely next year or two the tract abutting the East of this and the Tract abutting the South of this will also be able to be leased totaling another 300-400 acres. 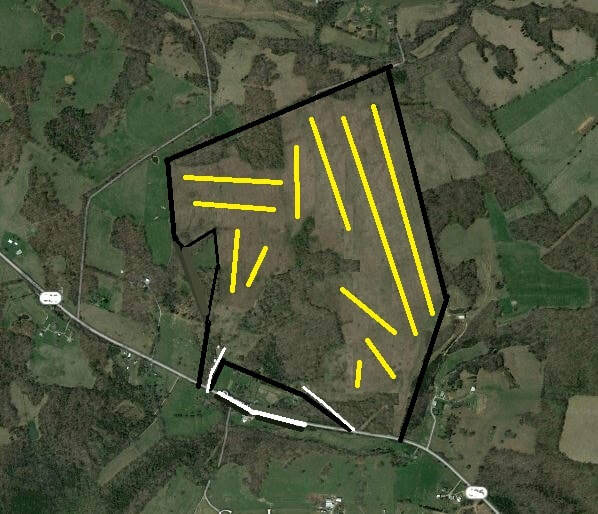 Off the radar highly sought after area of KY. 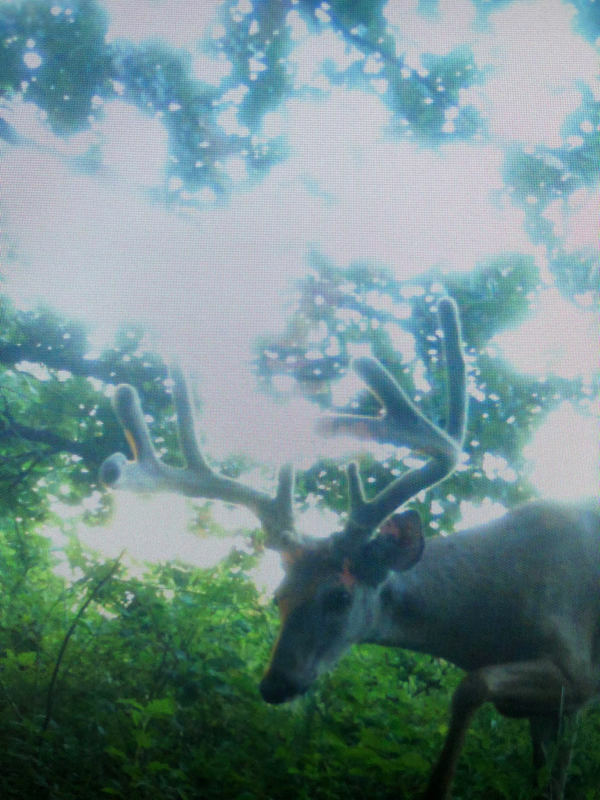 Awesome deer history. Year around access. High density area. Harvest Pic and Video Below. 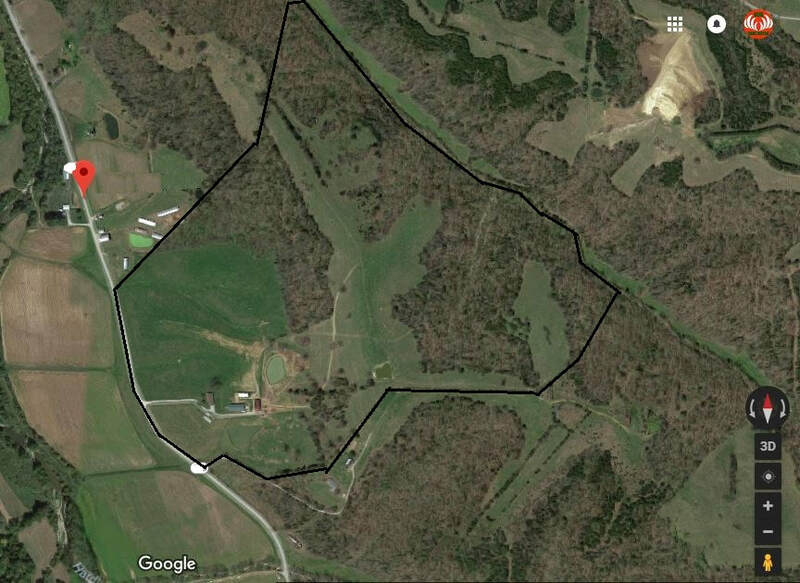 Great Deer and Turkey Area. 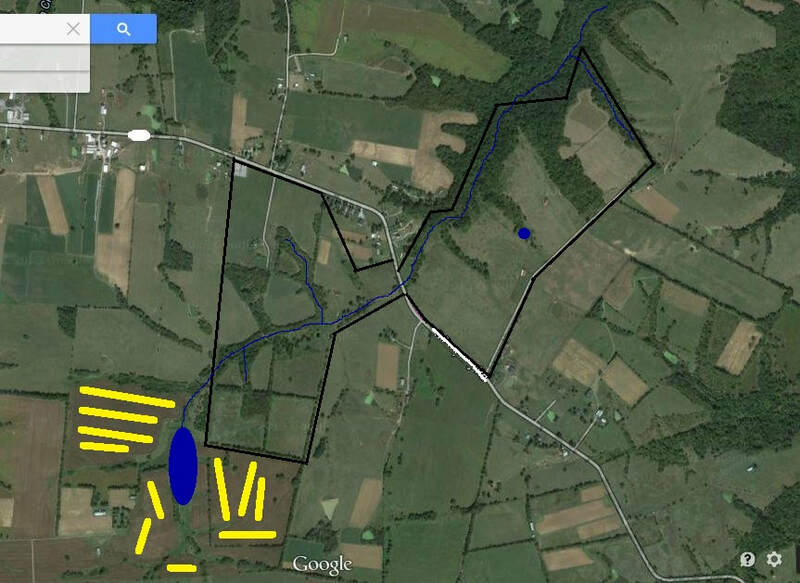 A couple ponds for fishing. Lots of crops. Year around access. 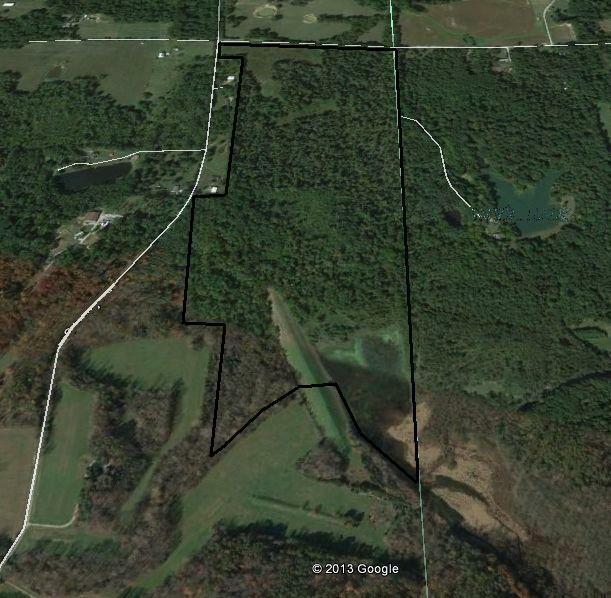 Great tract in a good spot convenient to Southern Indiana. 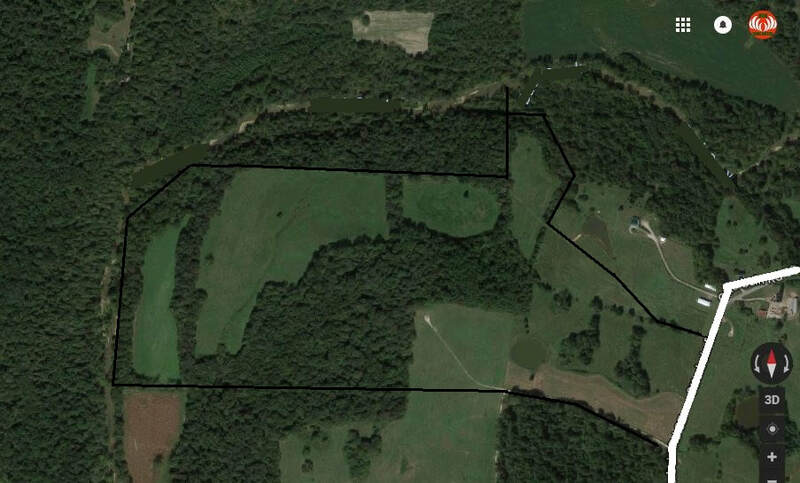 Outstanding deer population farm. 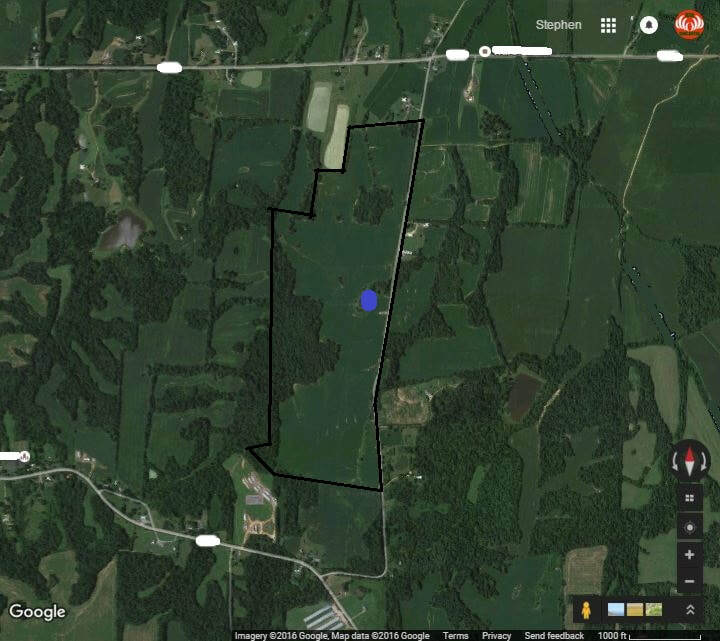 2 tracts are available in the 150 acre range. Central Tract and the SW Tract are open. Video and a few buck pics below. Lots of Turkeys also. 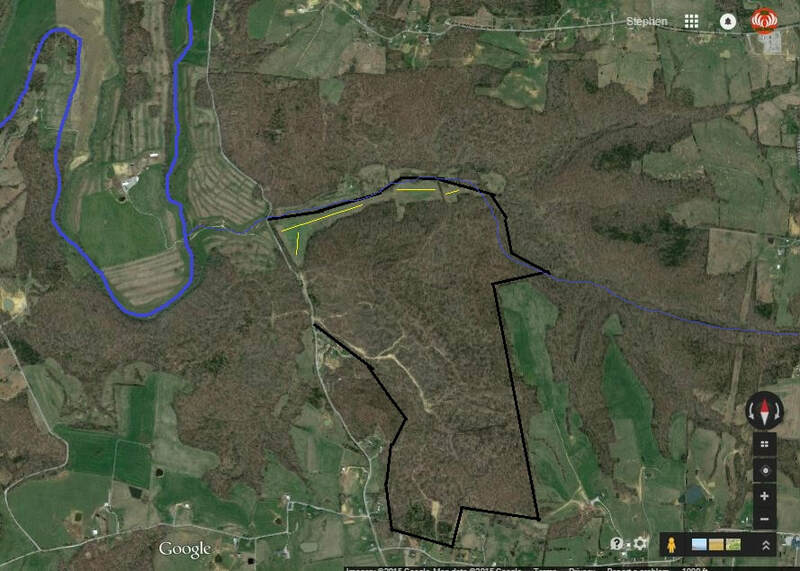 Lots of crops and woods along the river and main upland ridges. About 95 Acres along a dead end road in Grant County, KY near Dry Ridge. Owner on site. No cows. 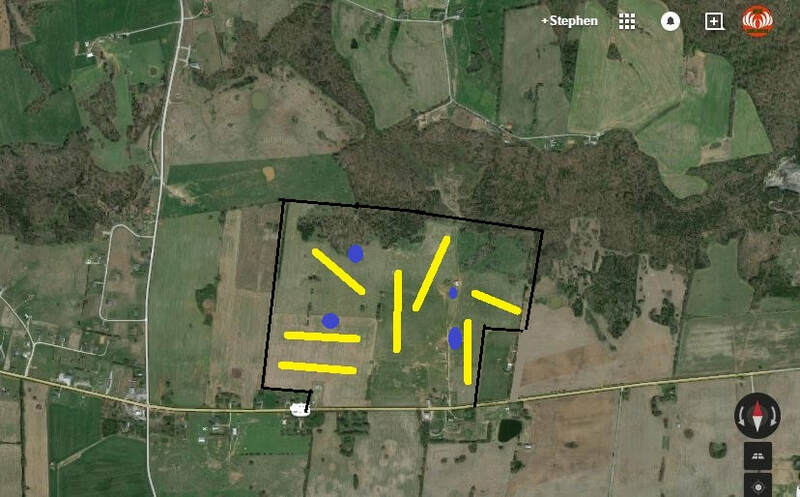 Encourages Food Plots. Sits between 2 creeks.